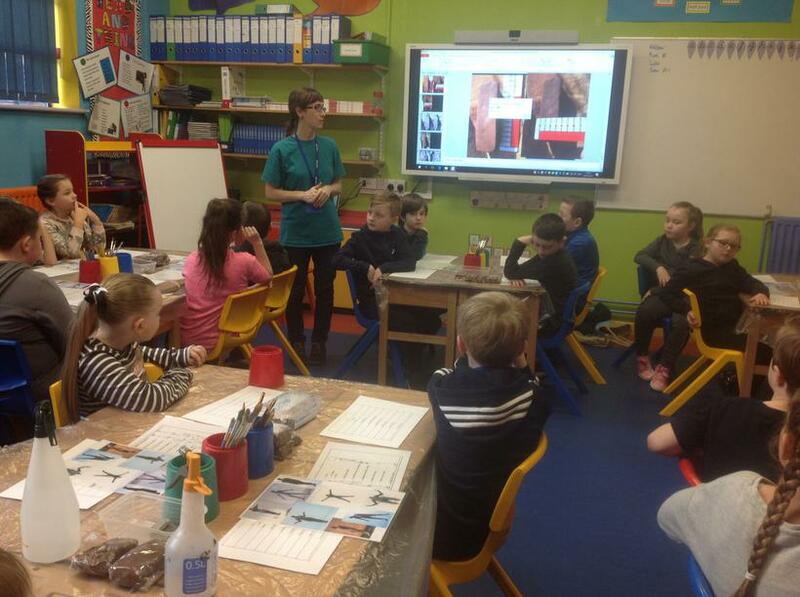 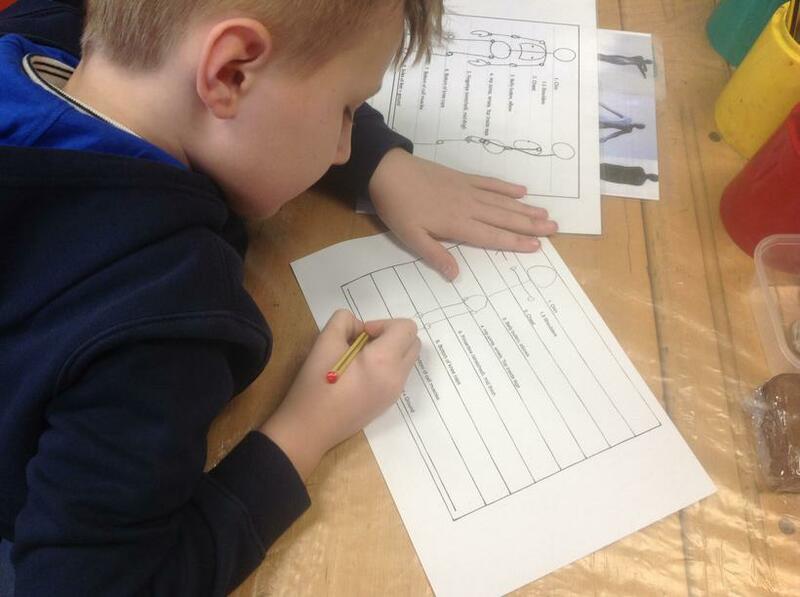 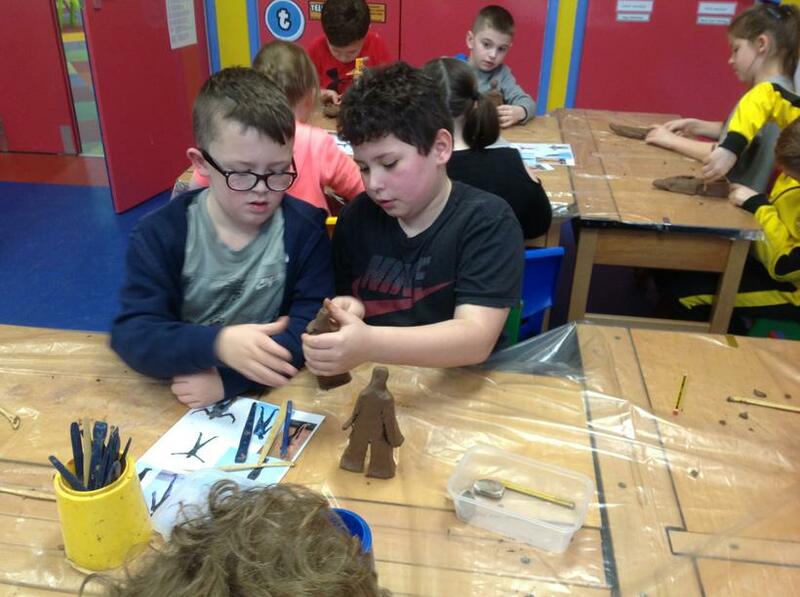 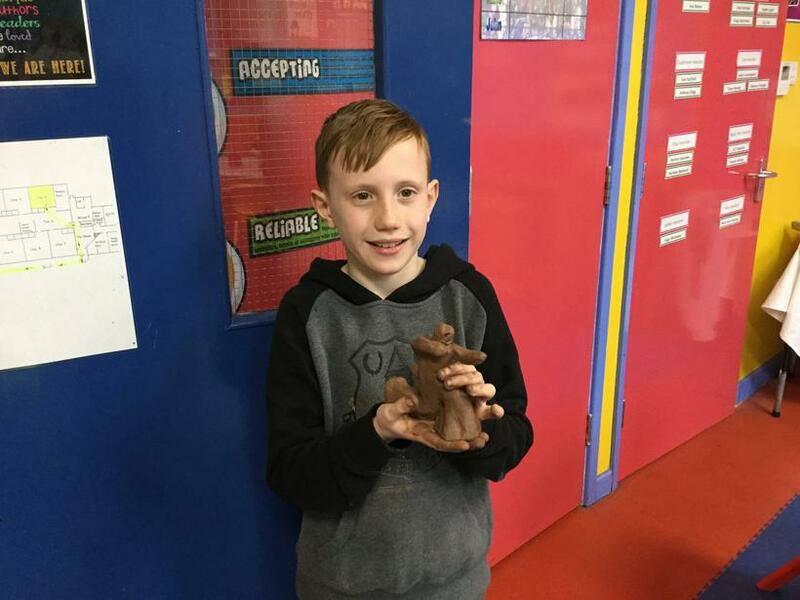 As part of our topic all about the famous sculptor, Antony Gormley, Year 4 took part in art days with a professional artist this week. 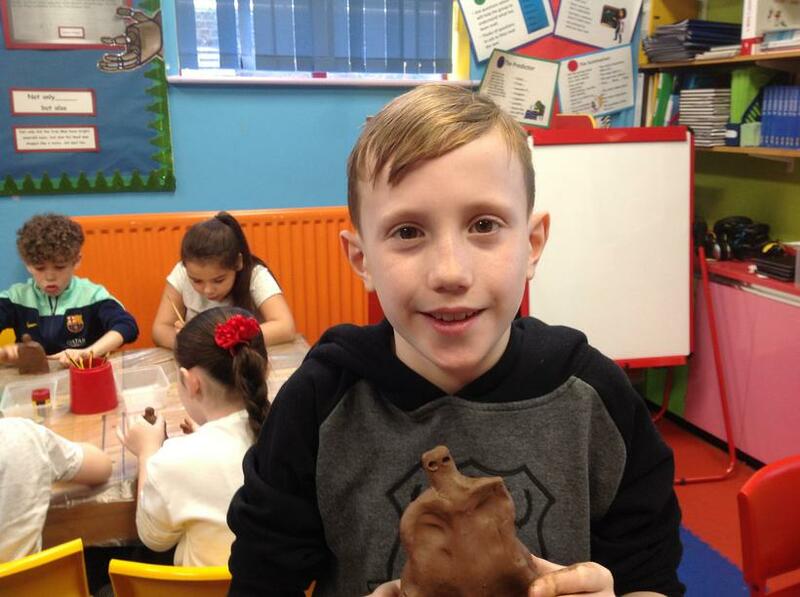 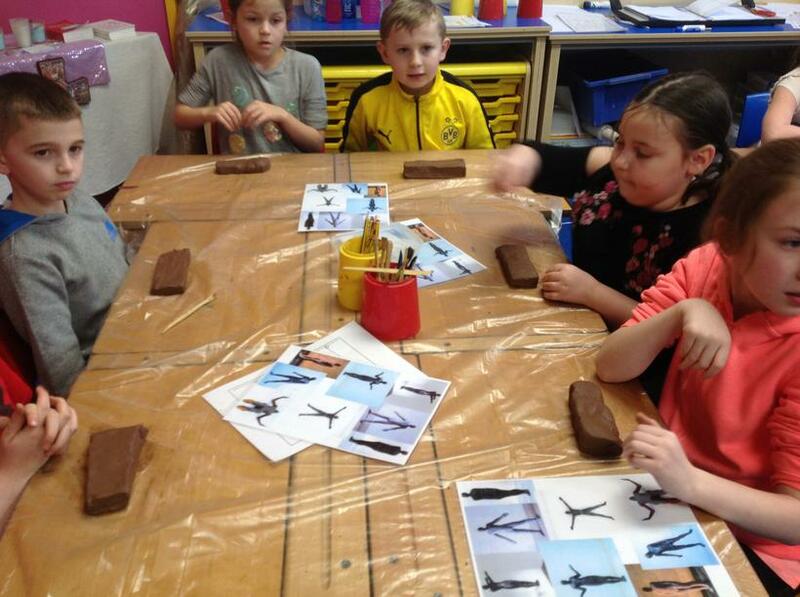 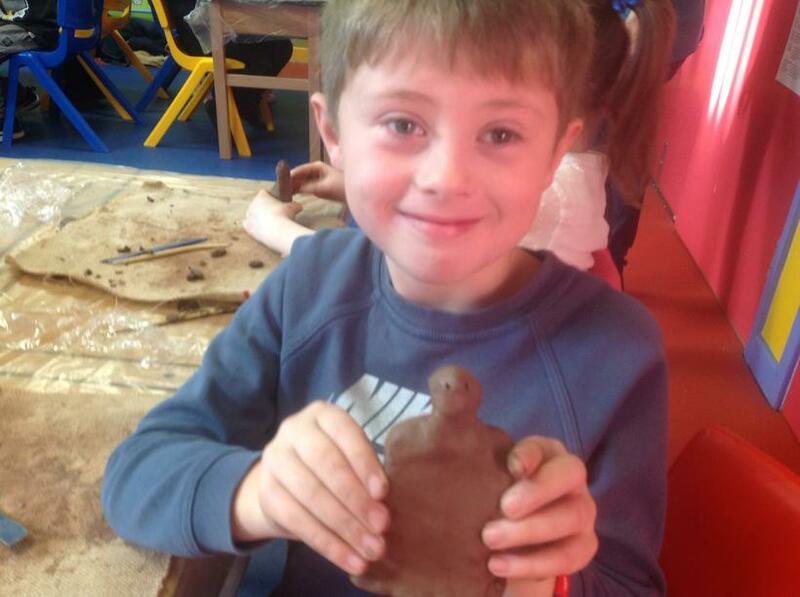 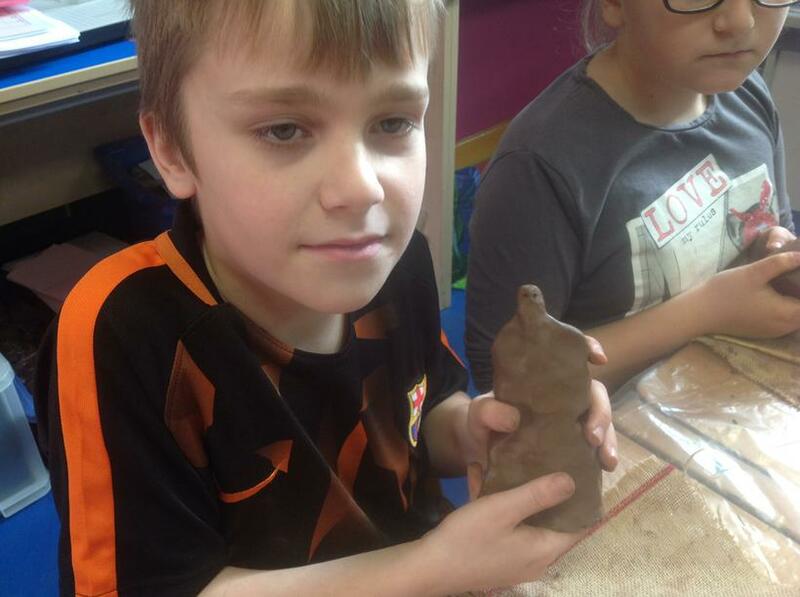 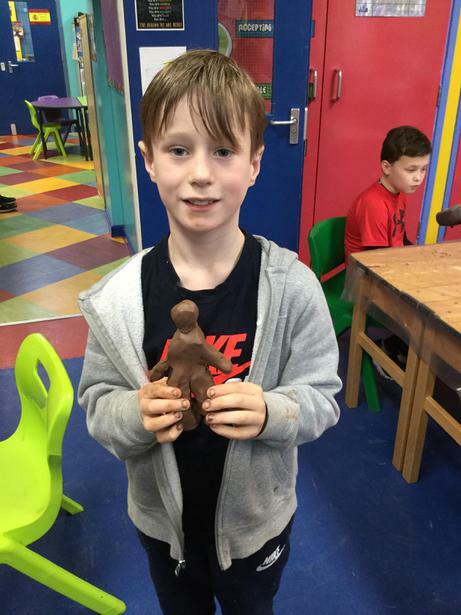 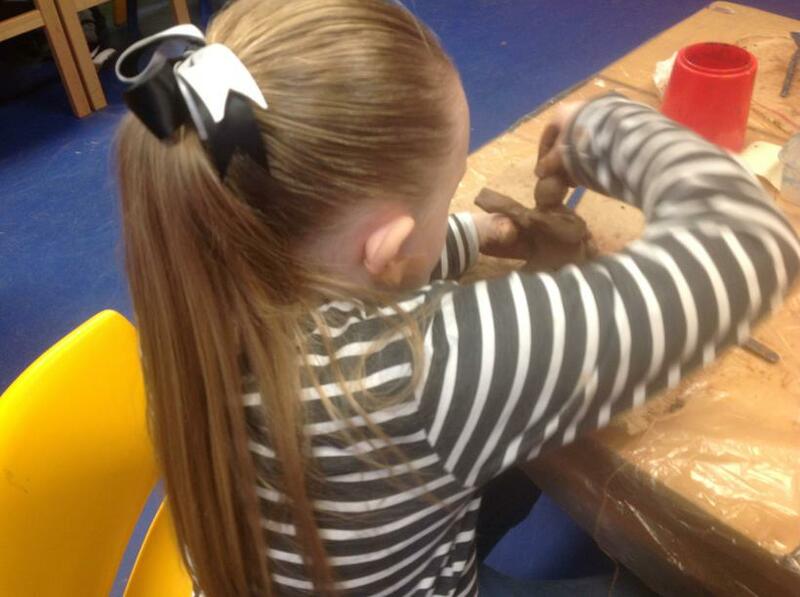 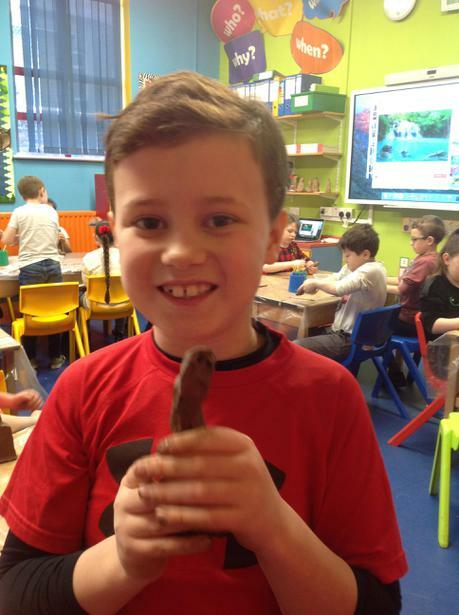 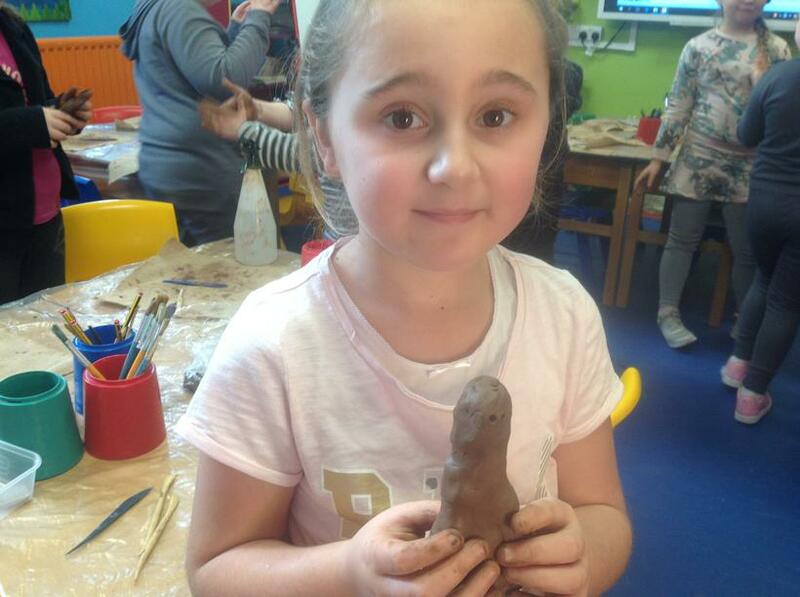 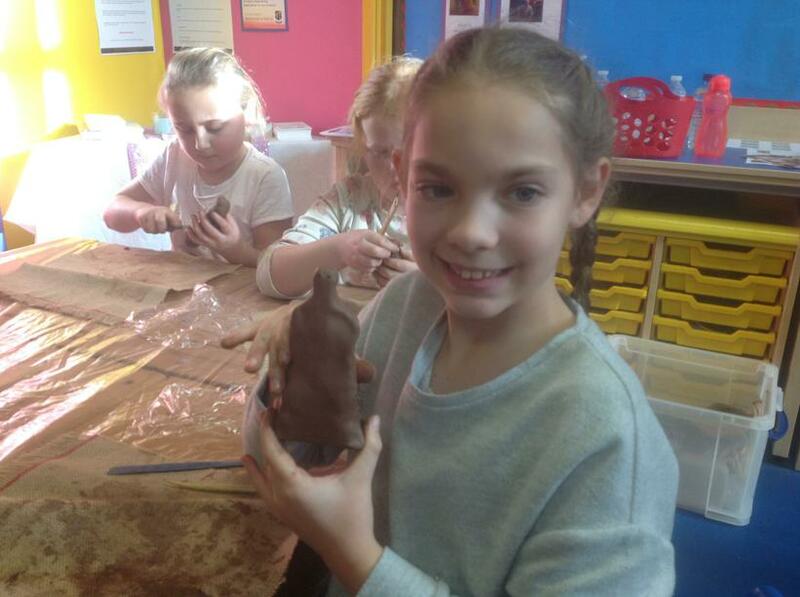 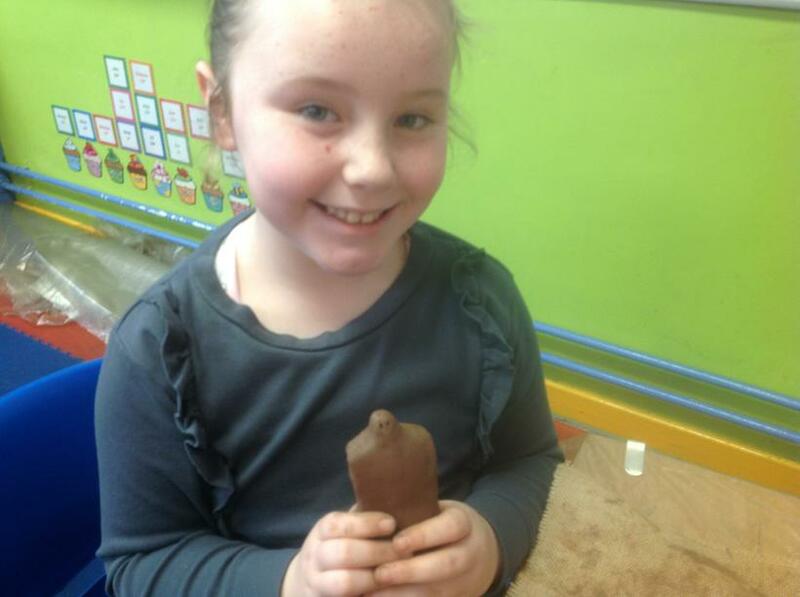 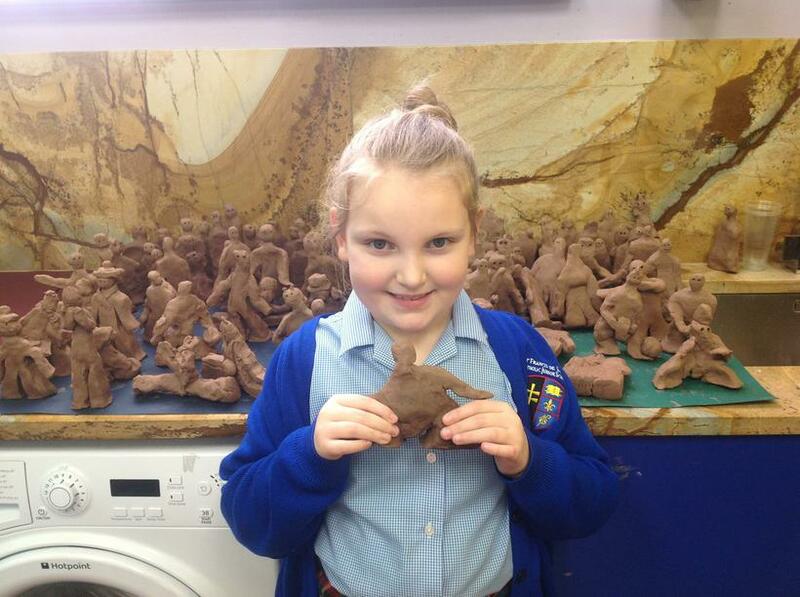 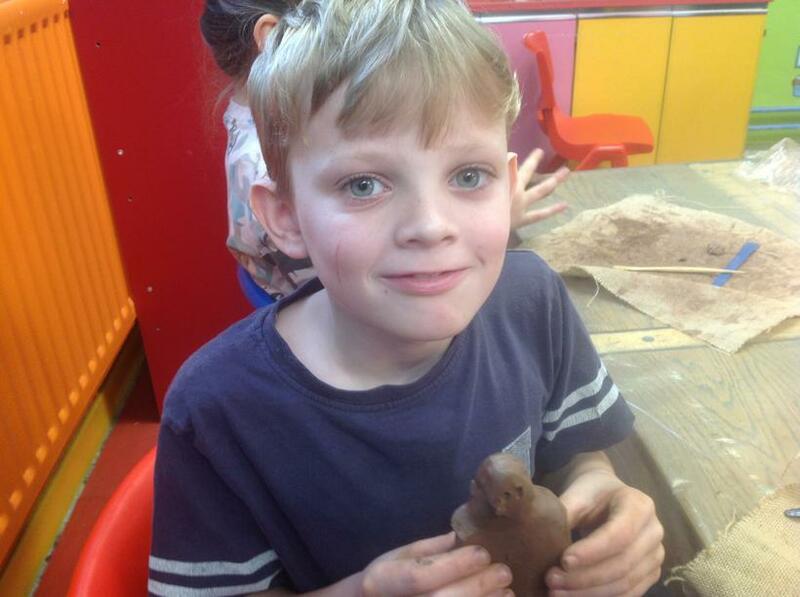 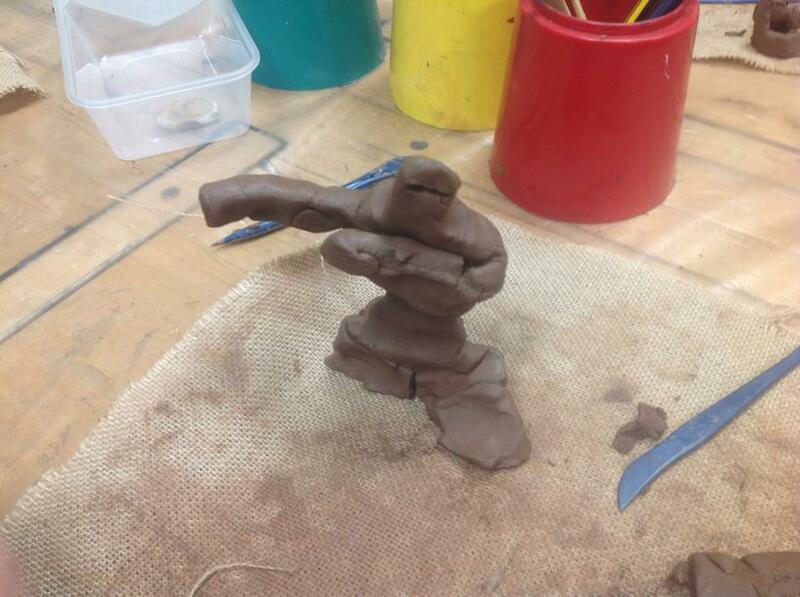 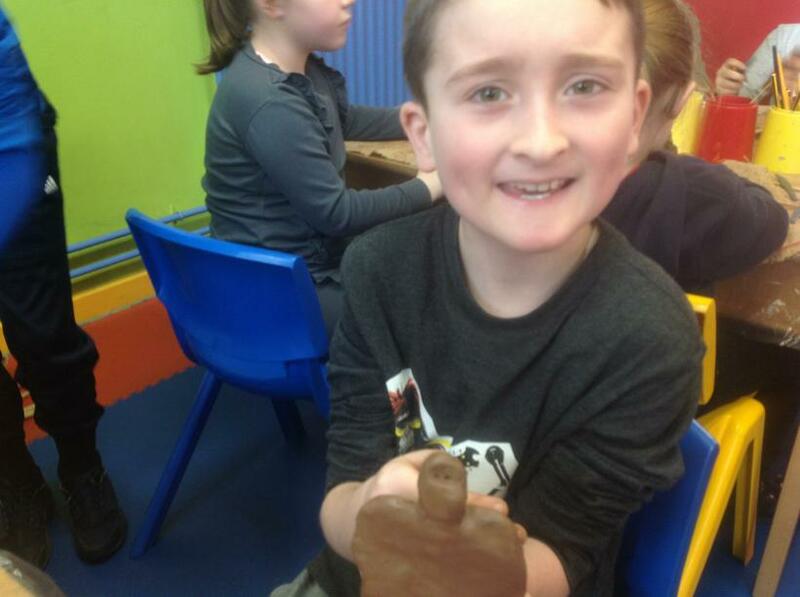 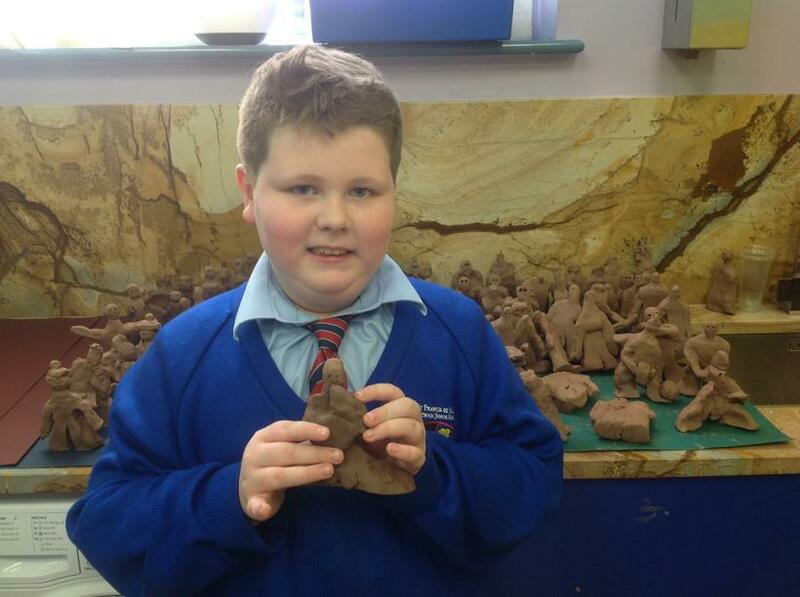 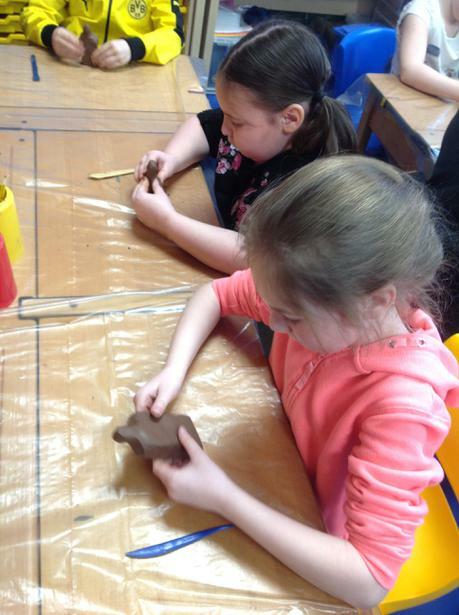 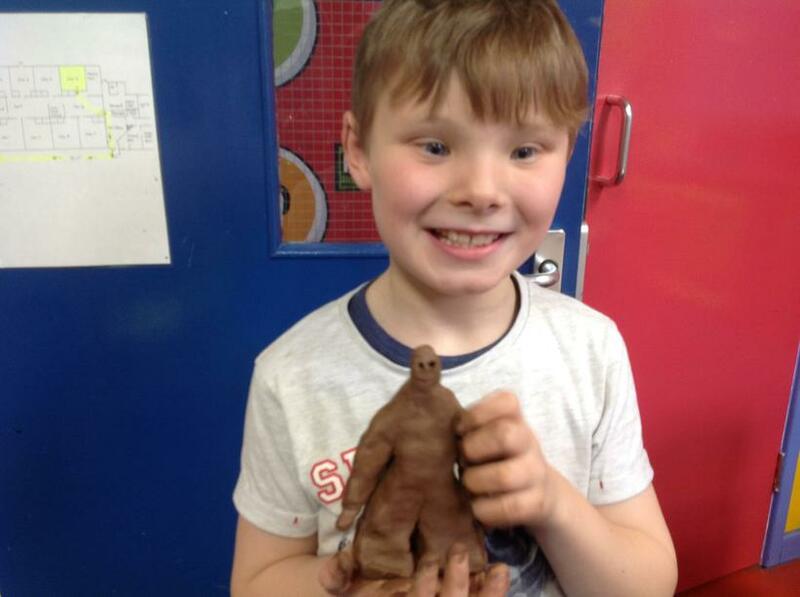 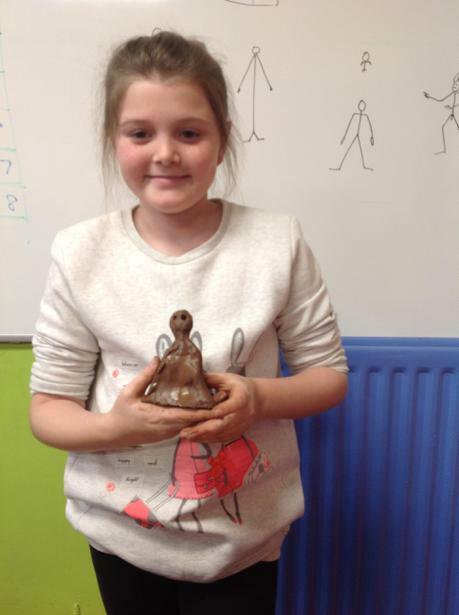 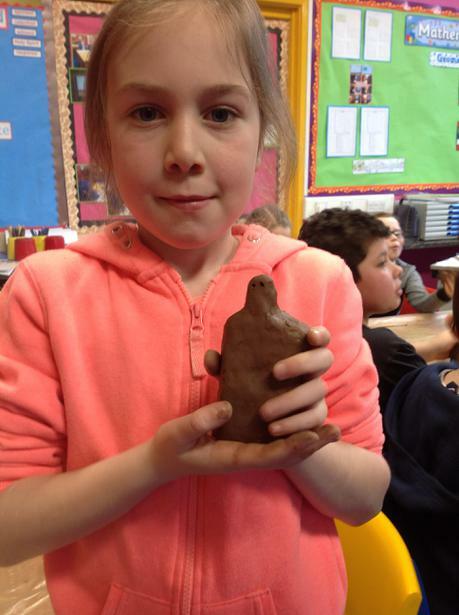 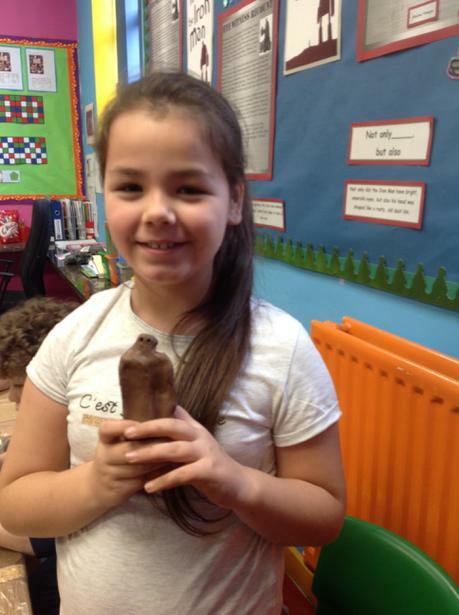 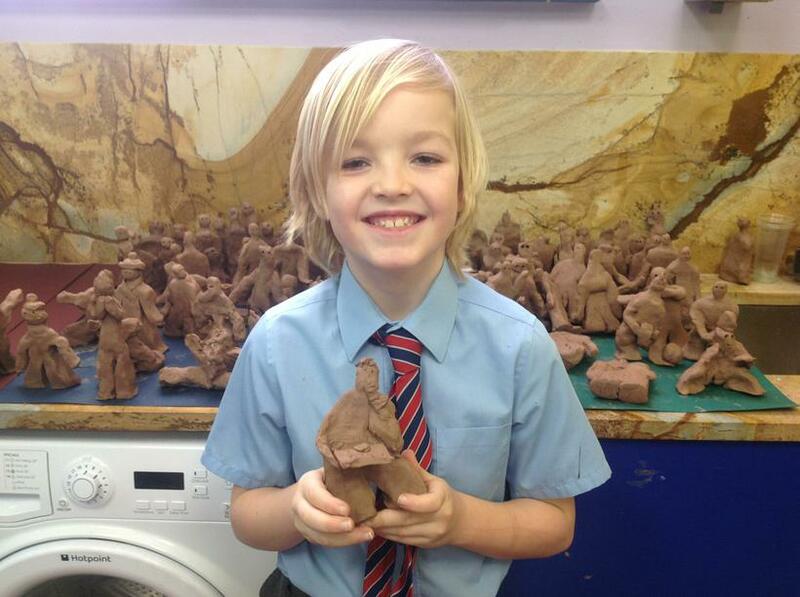 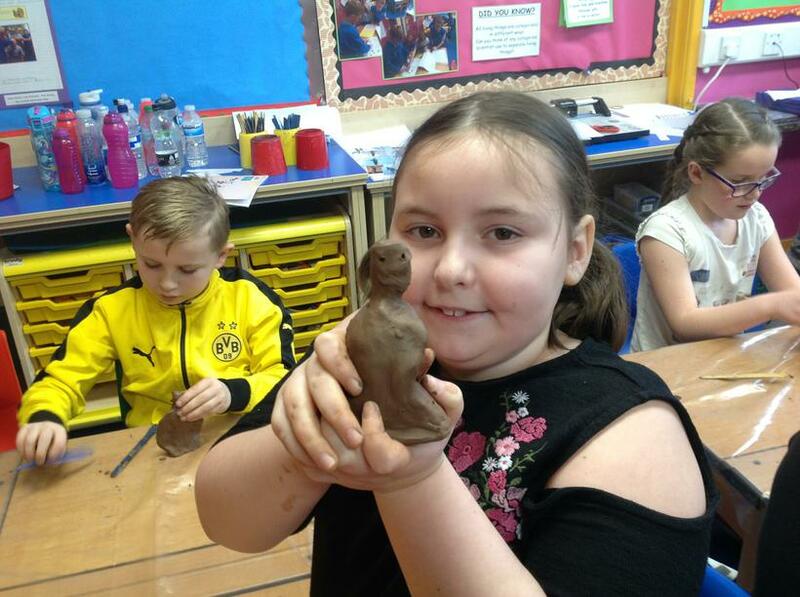 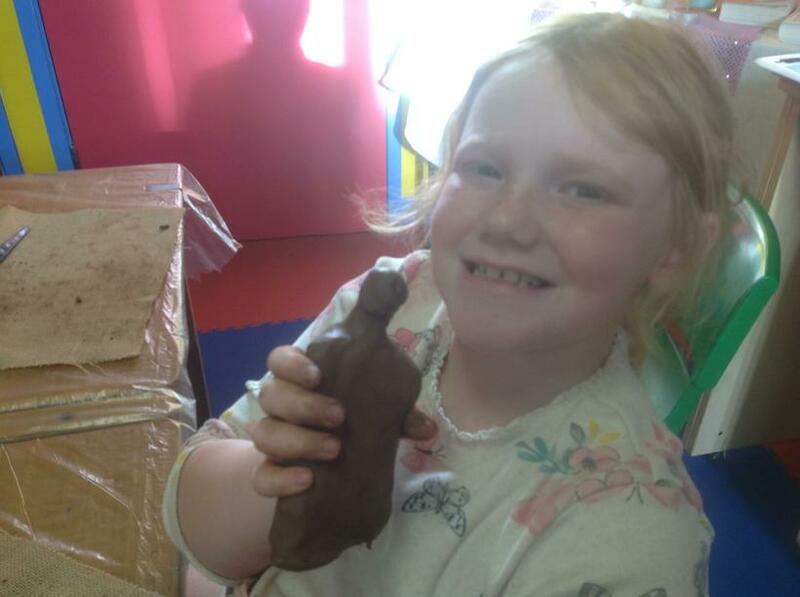 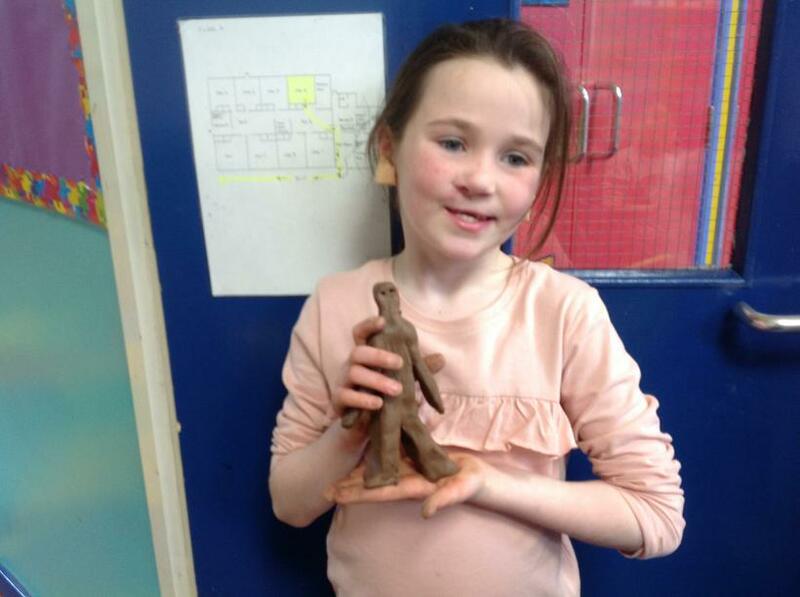 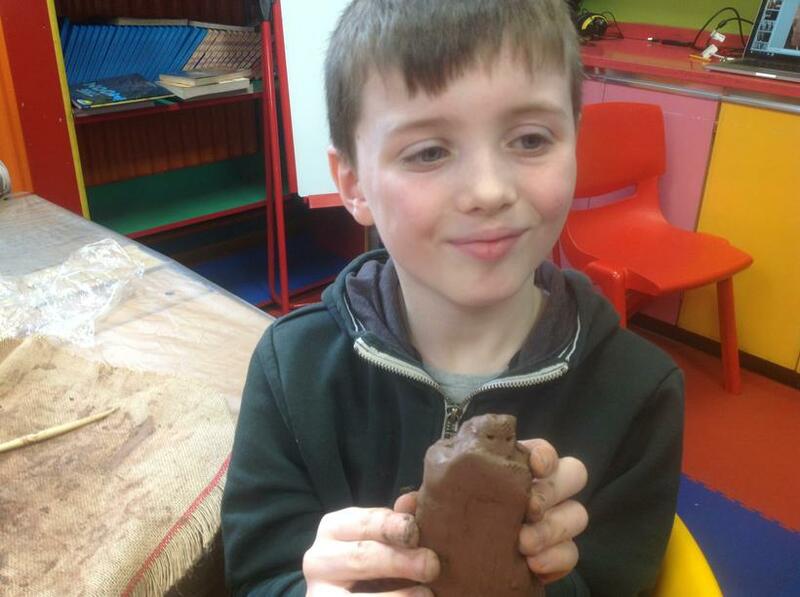 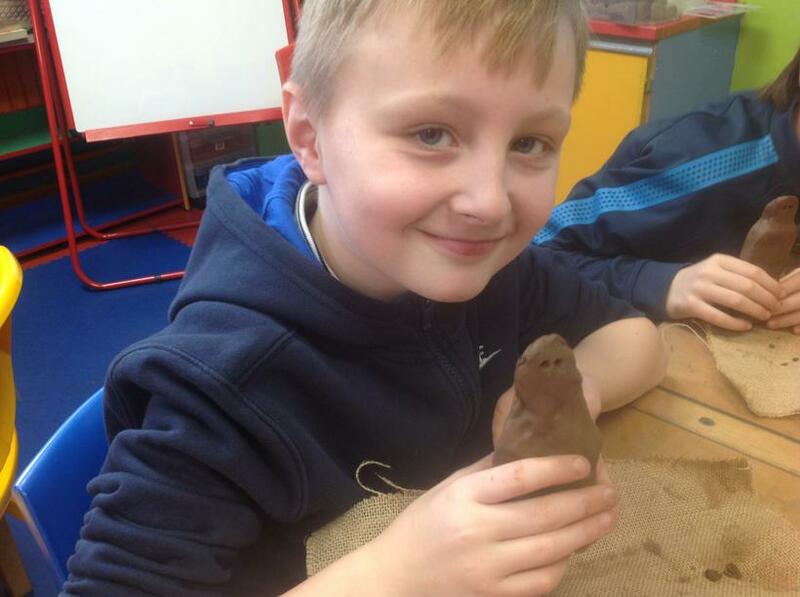 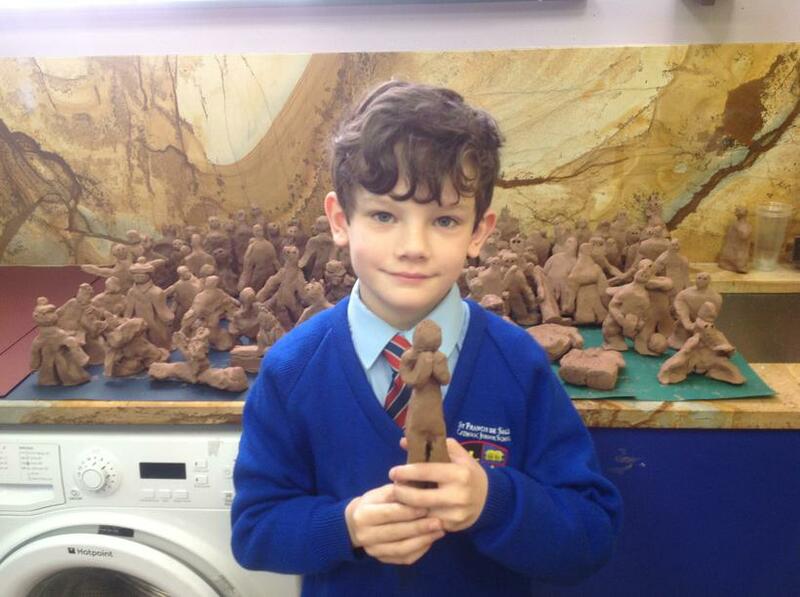 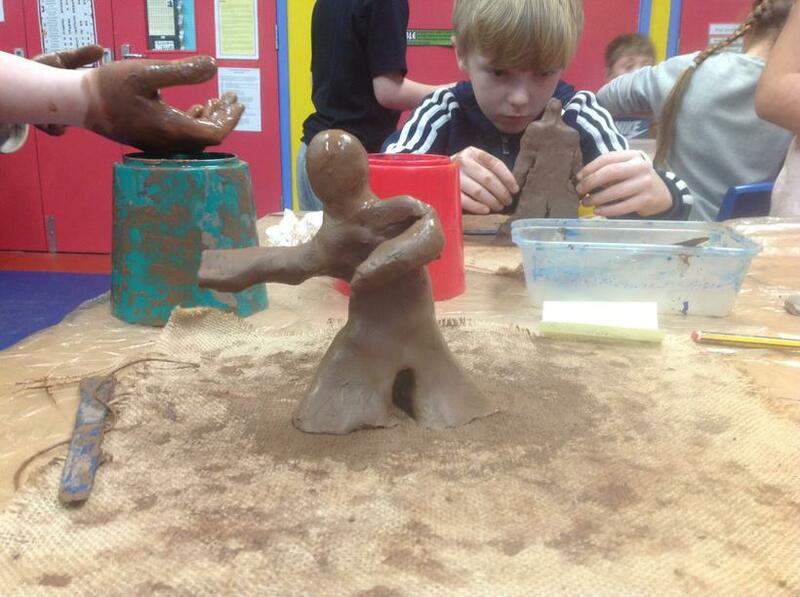 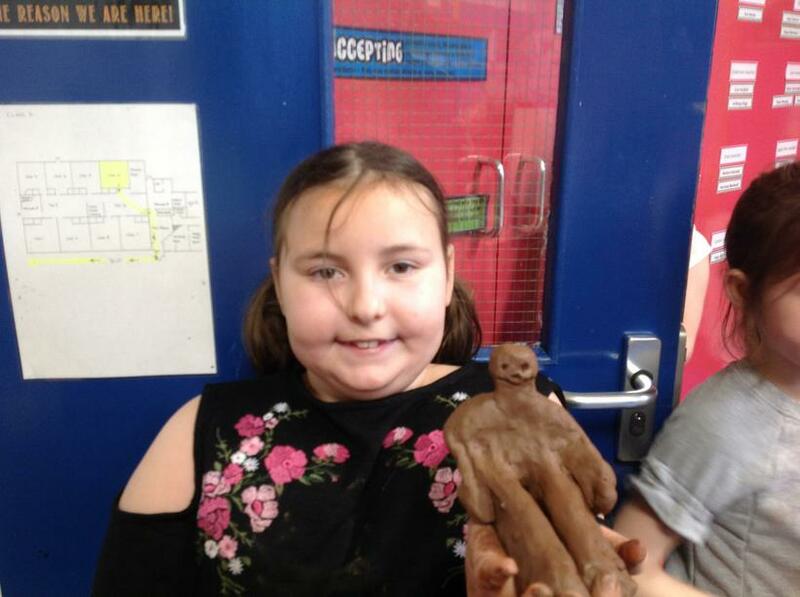 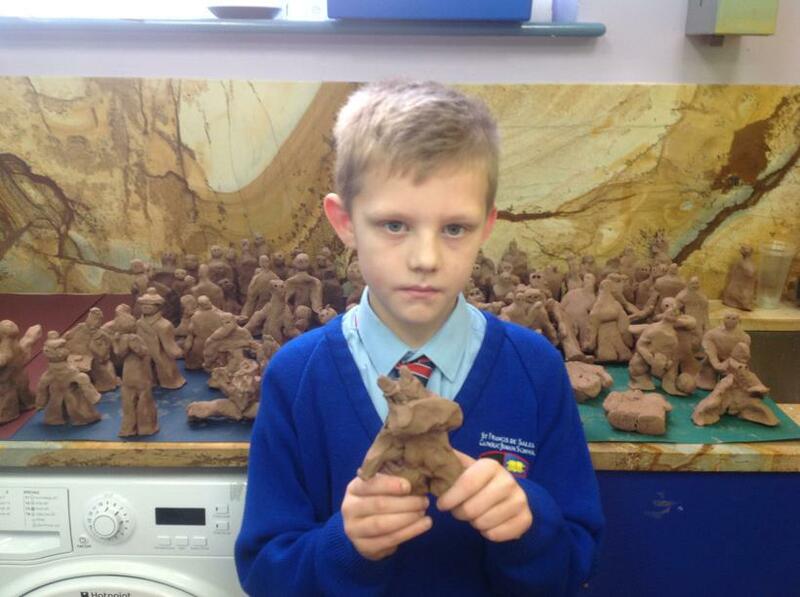 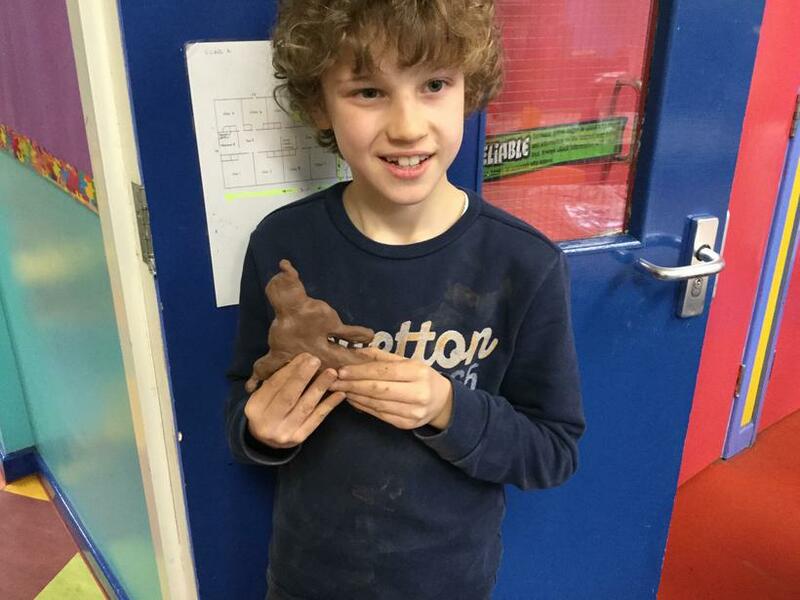 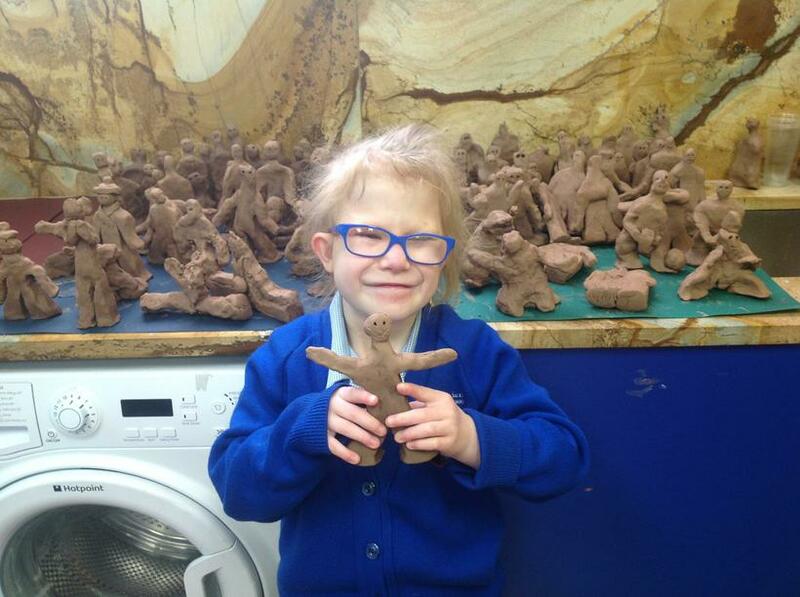 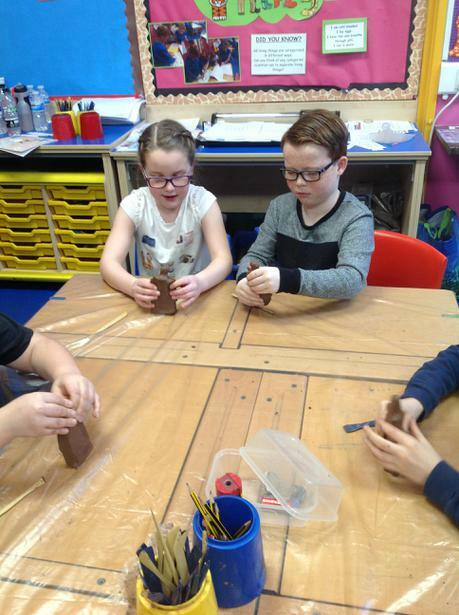 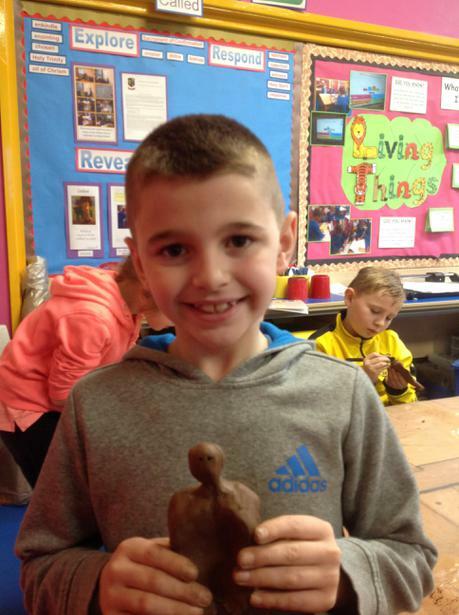 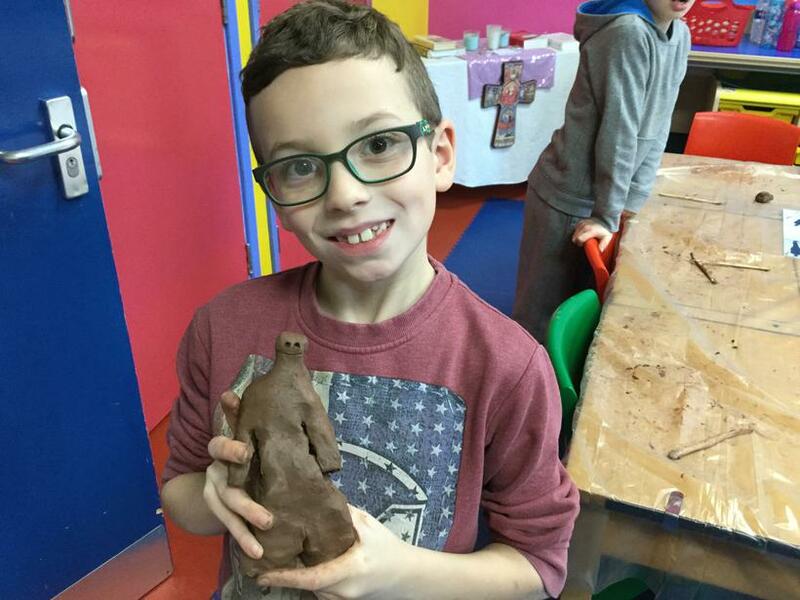 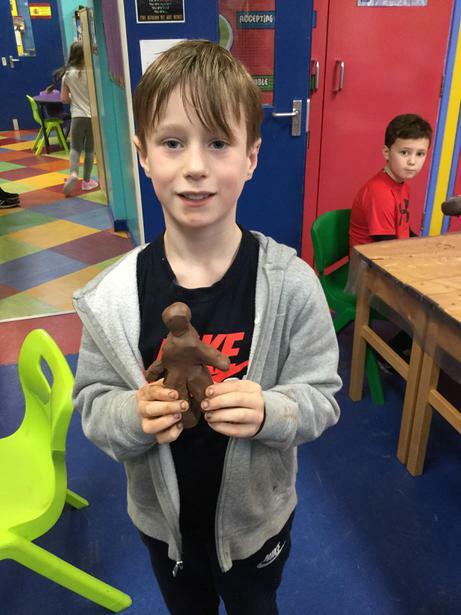 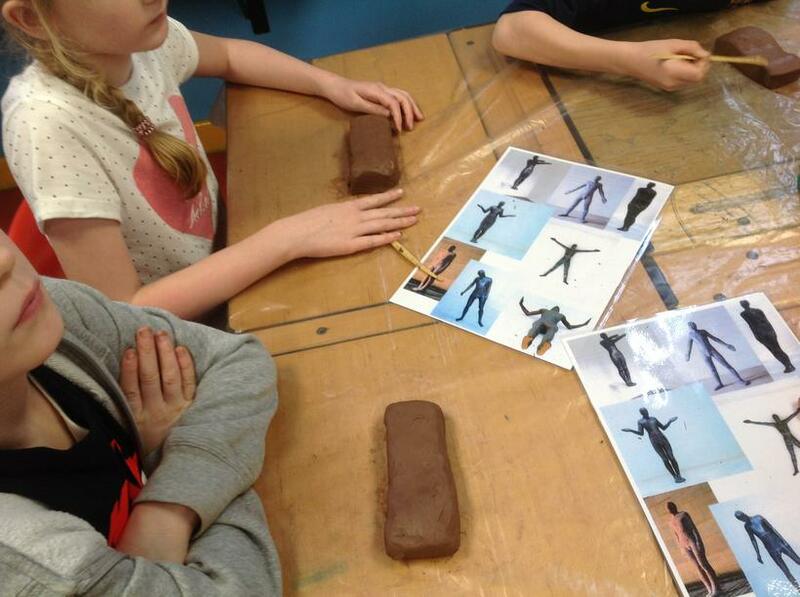 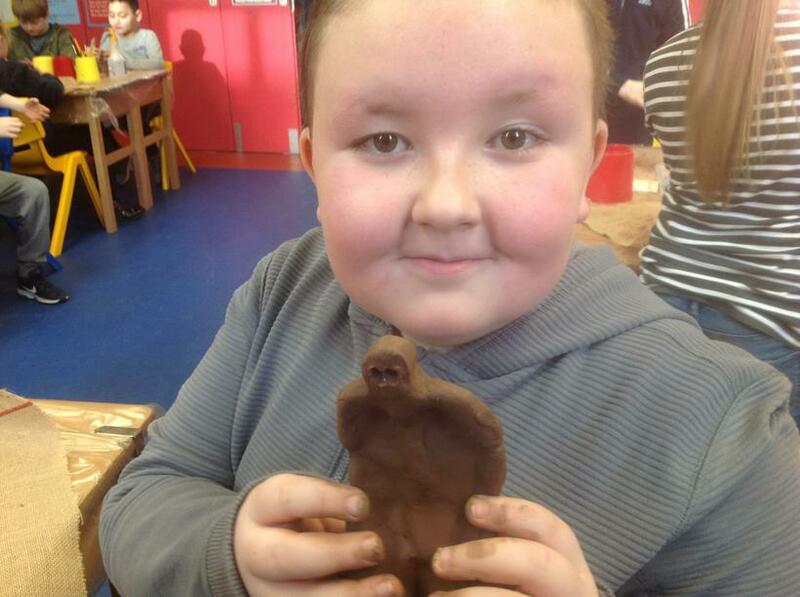 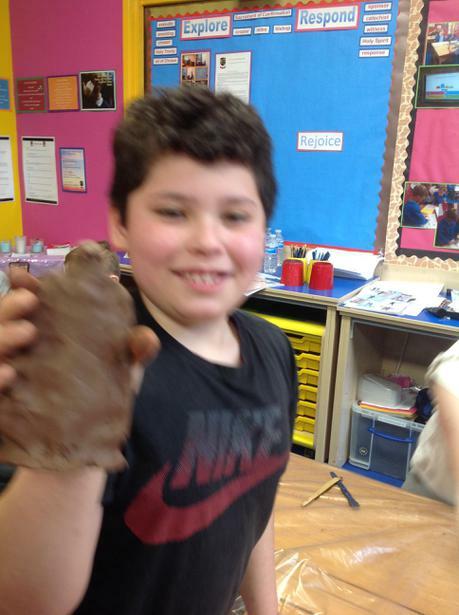 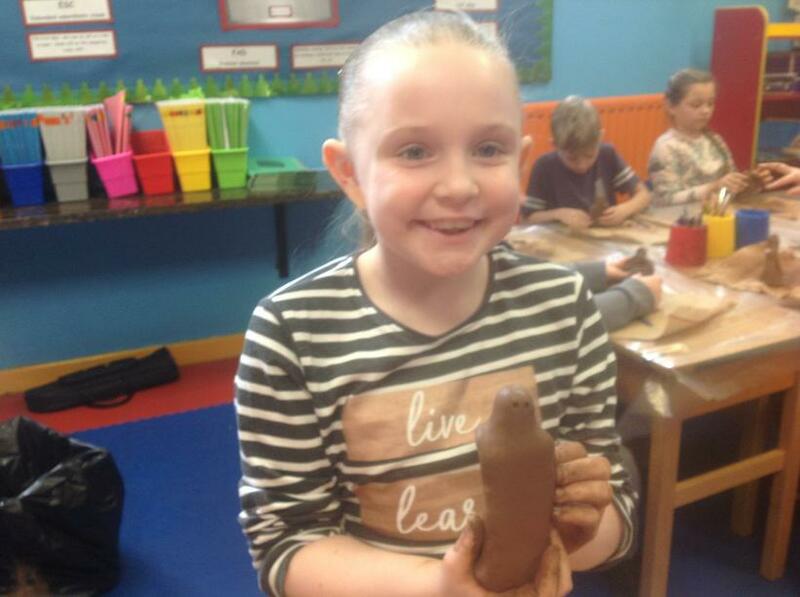 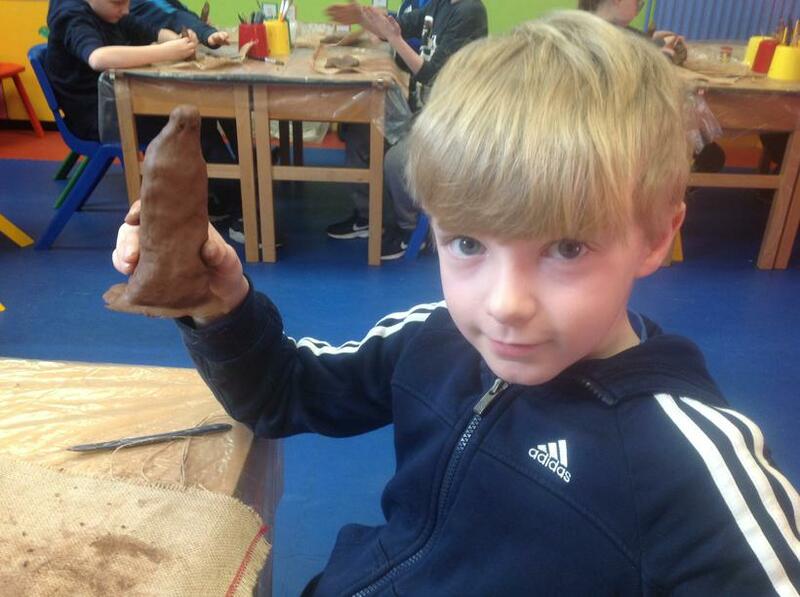 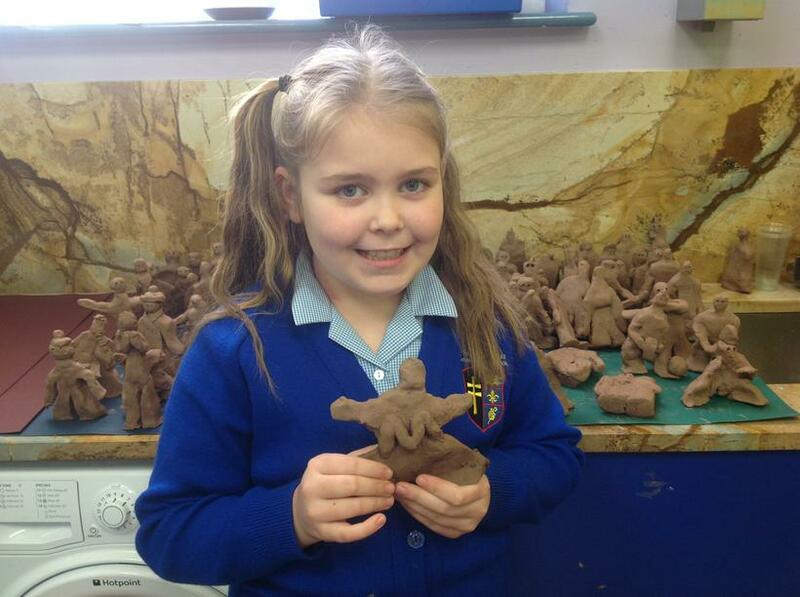 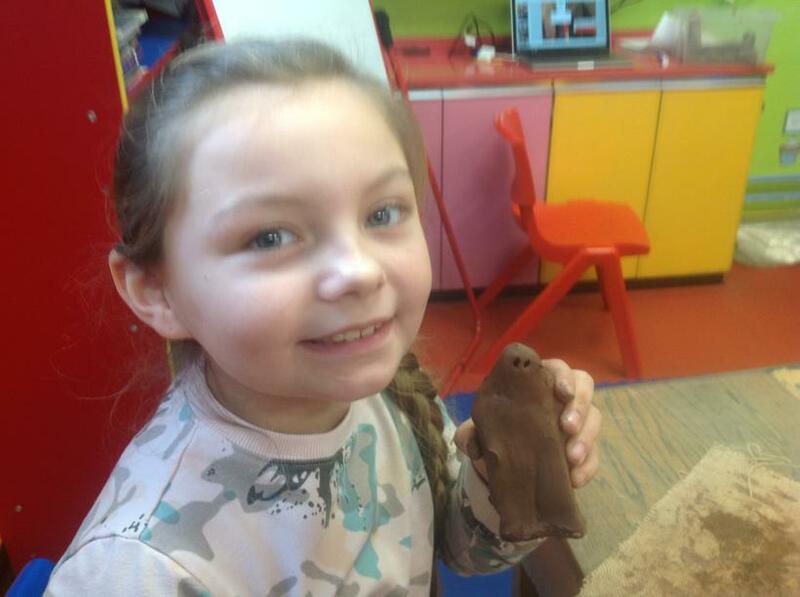 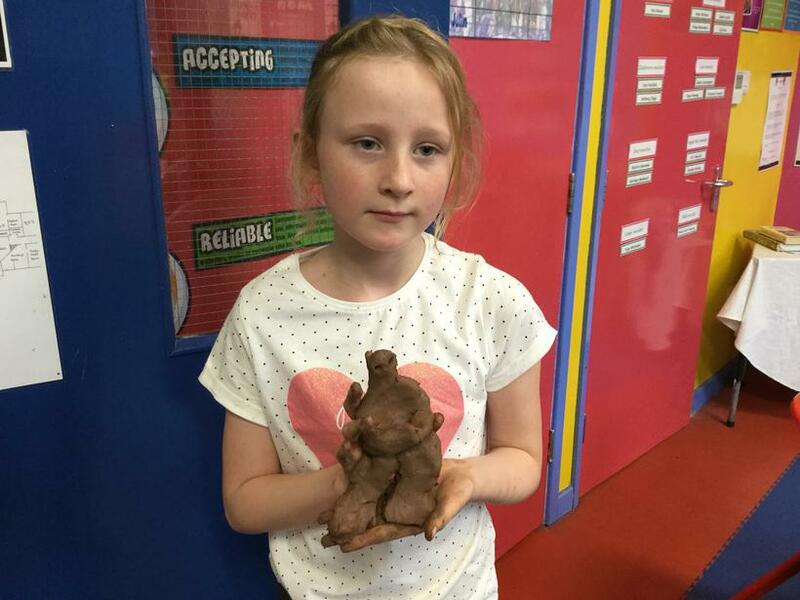 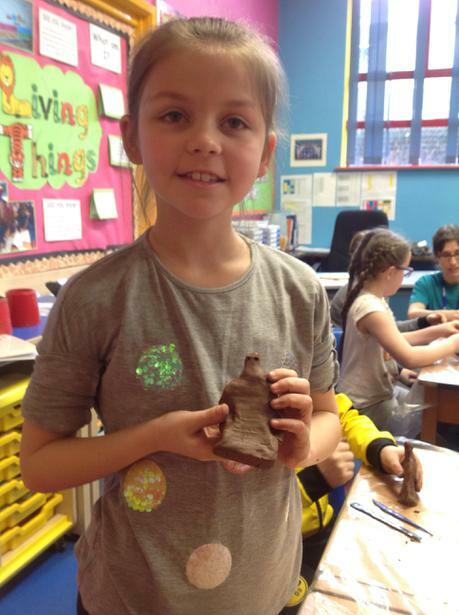 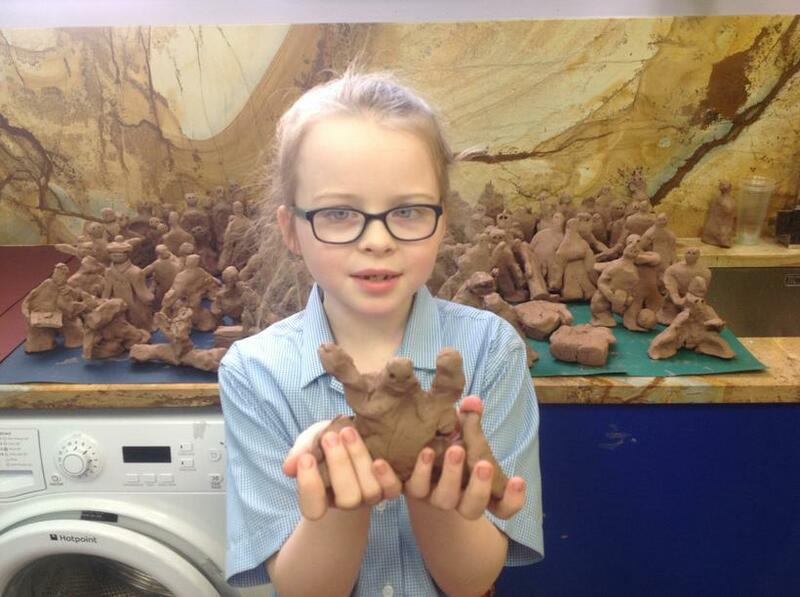 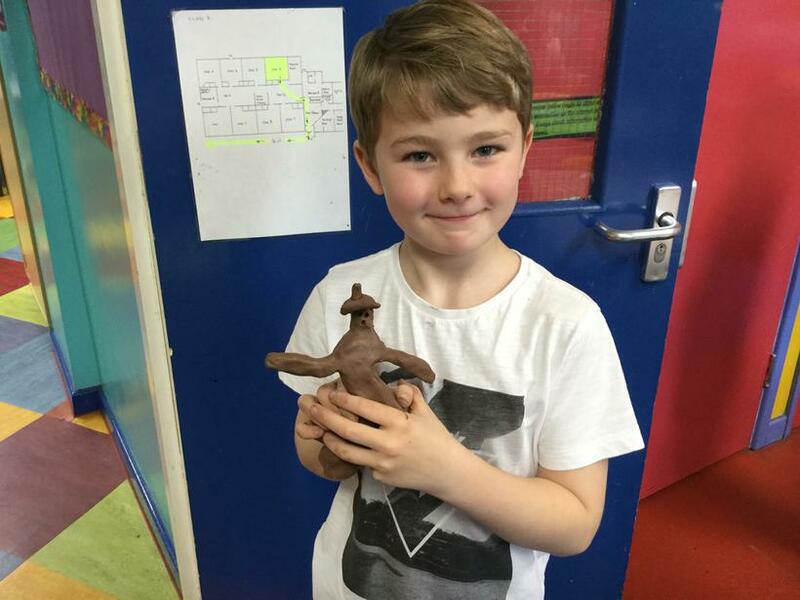 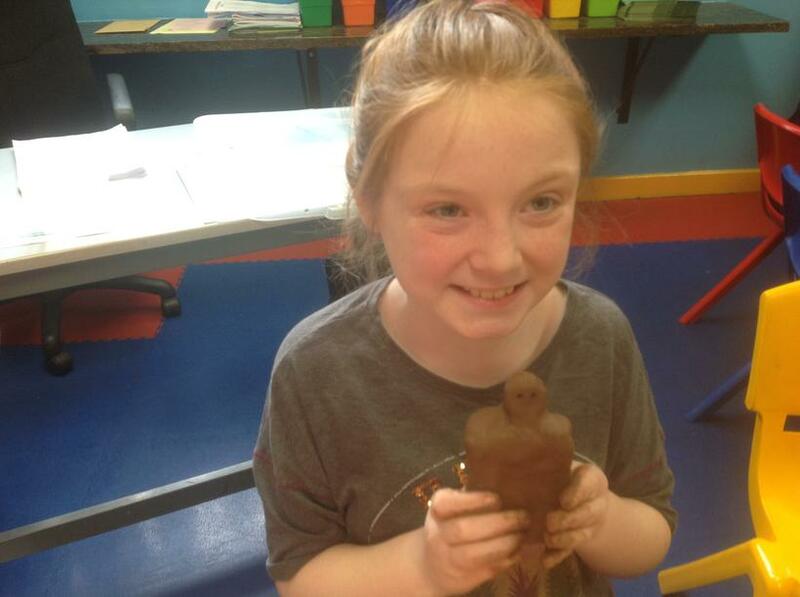 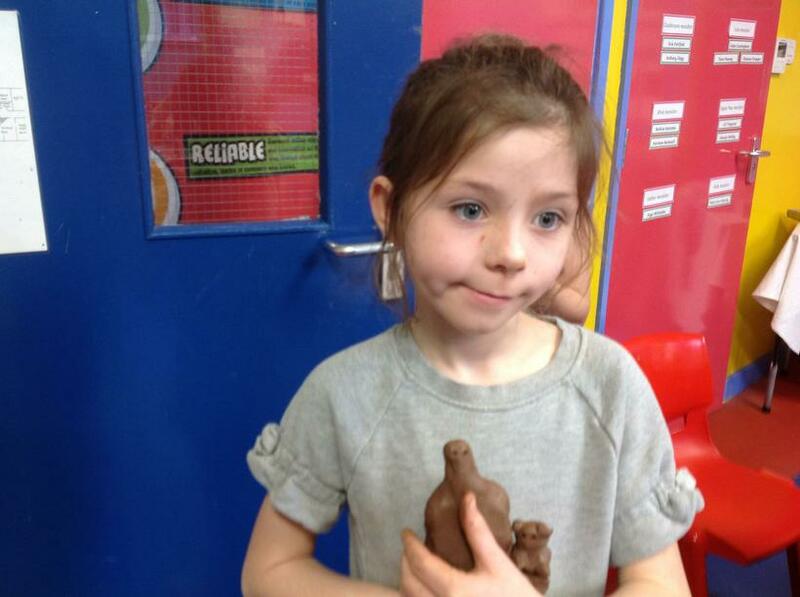 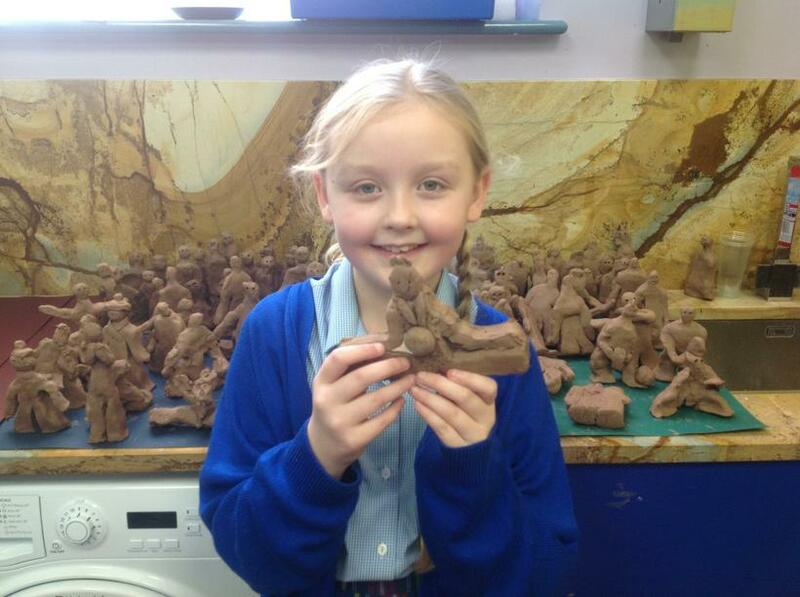 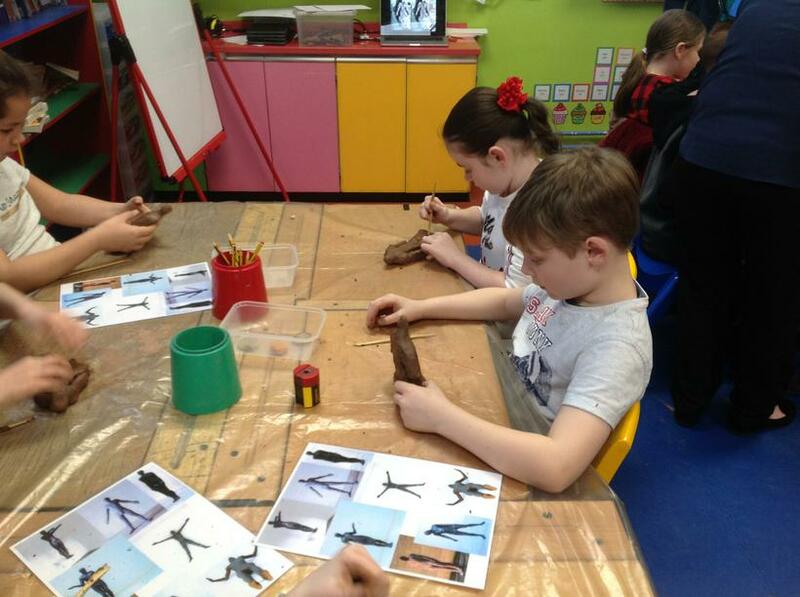 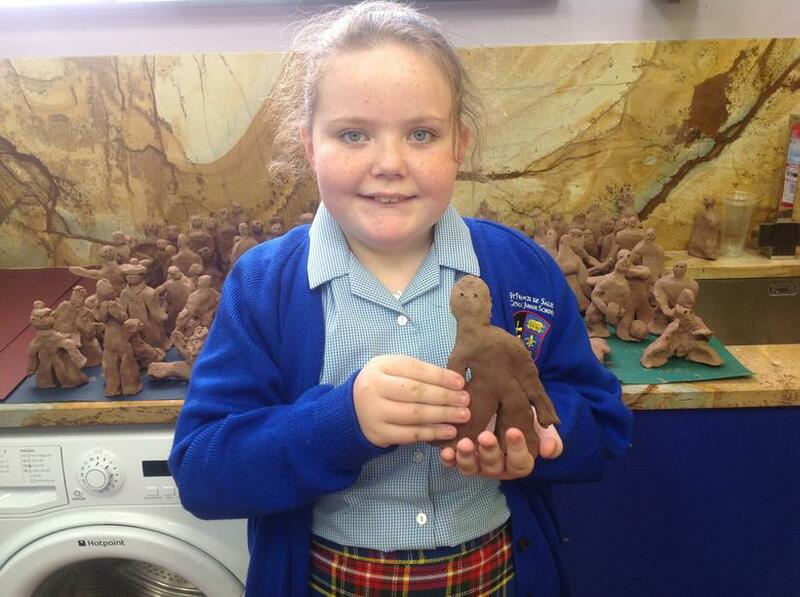 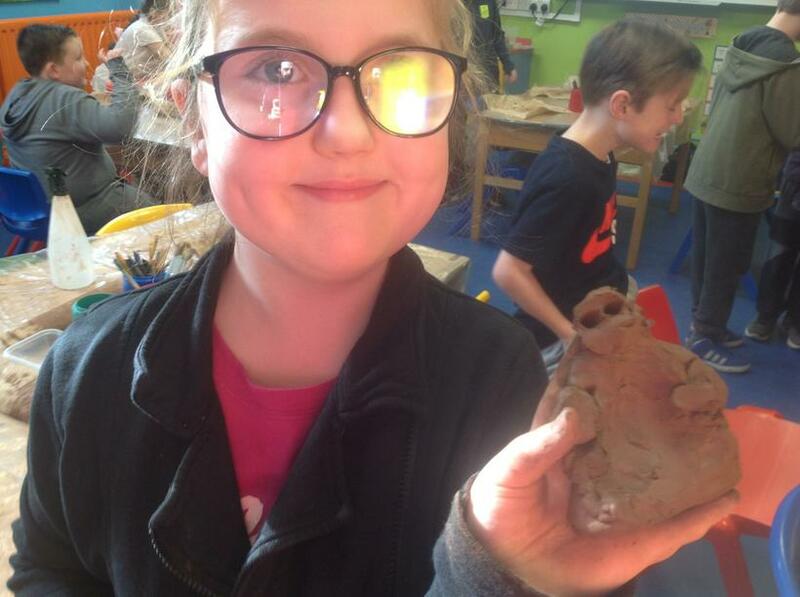 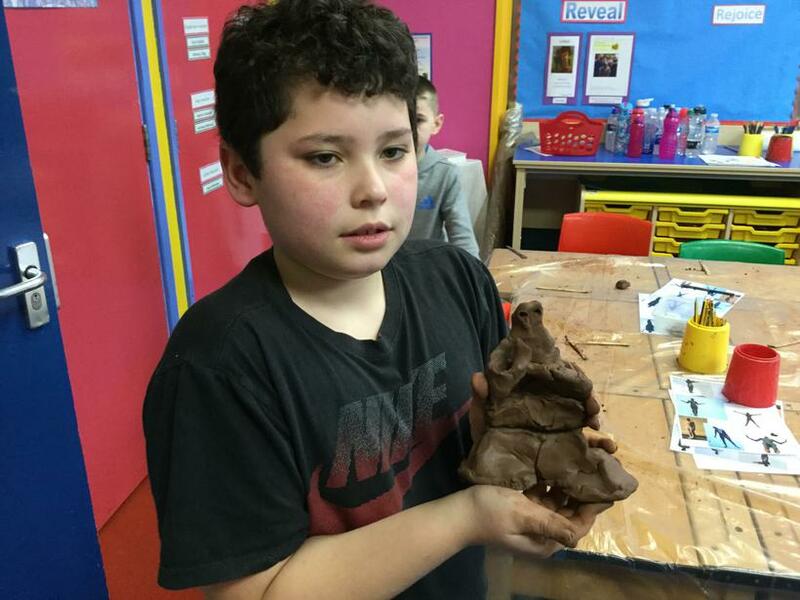 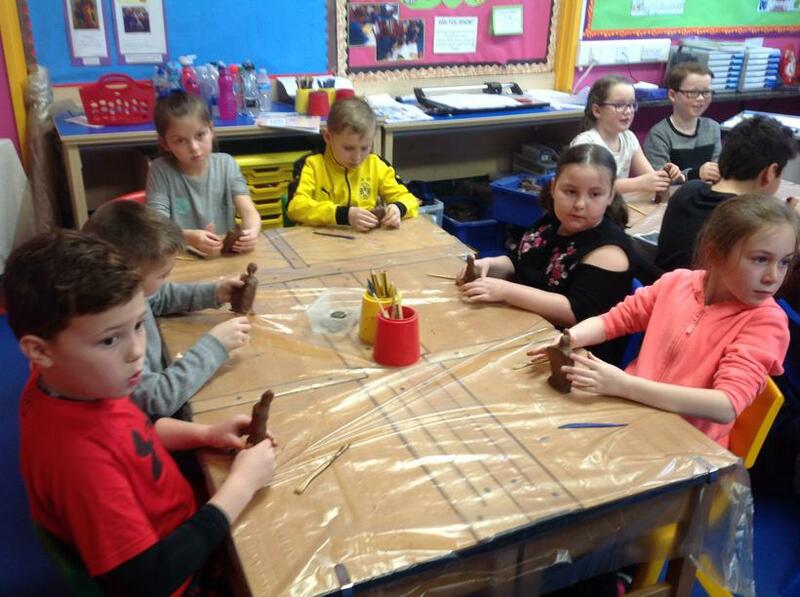 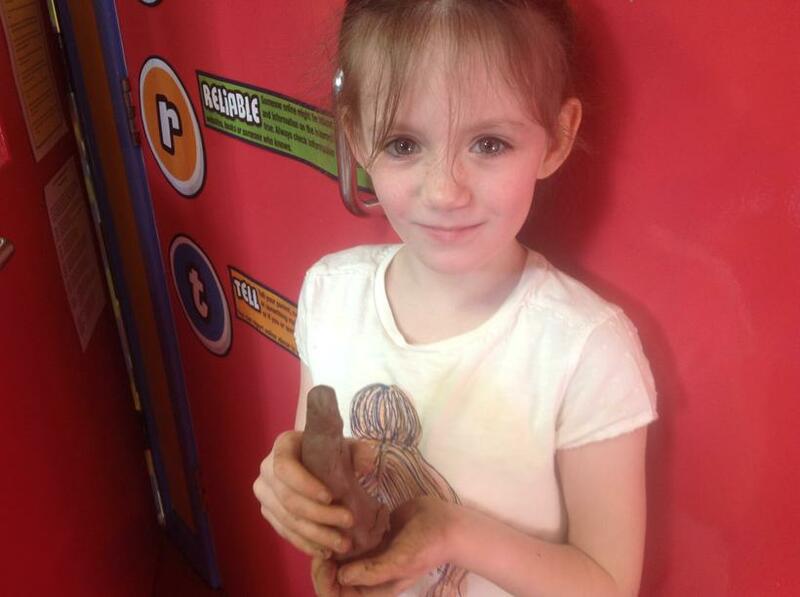 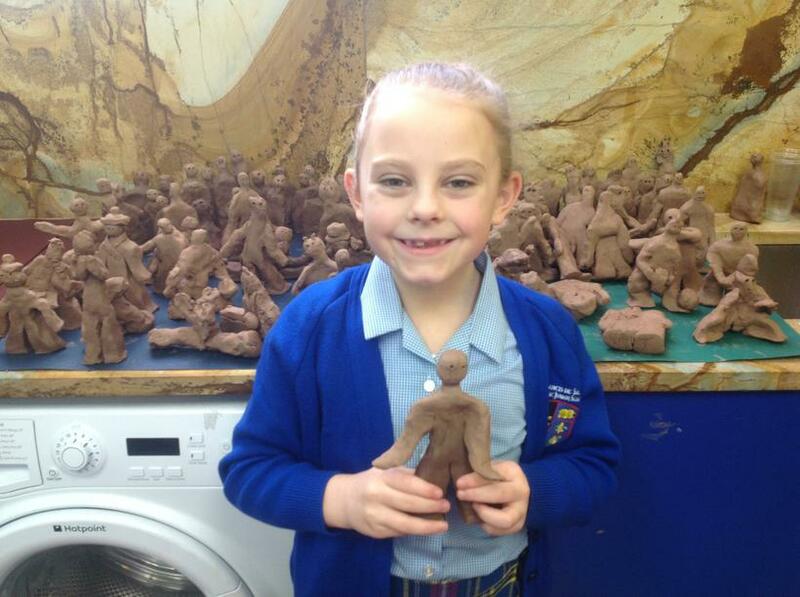 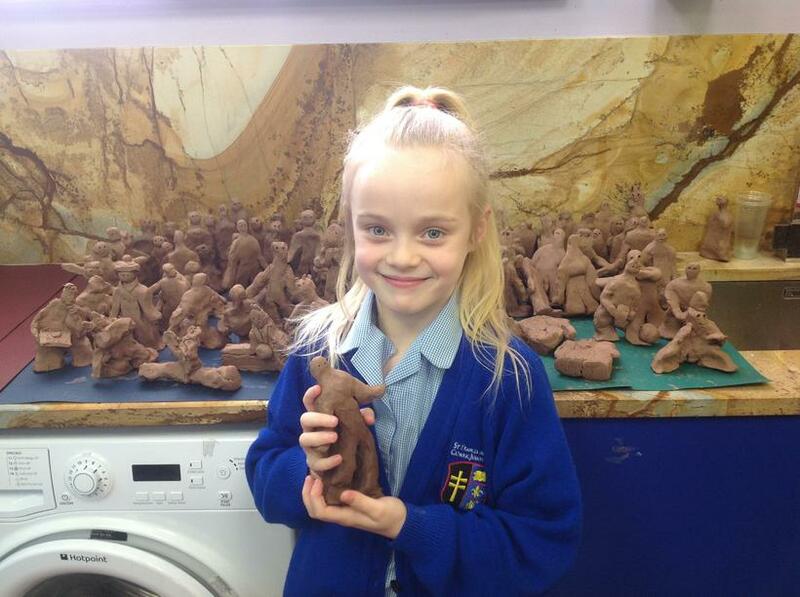 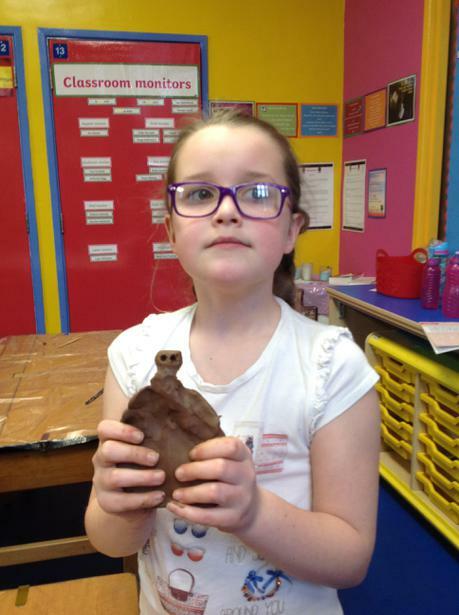 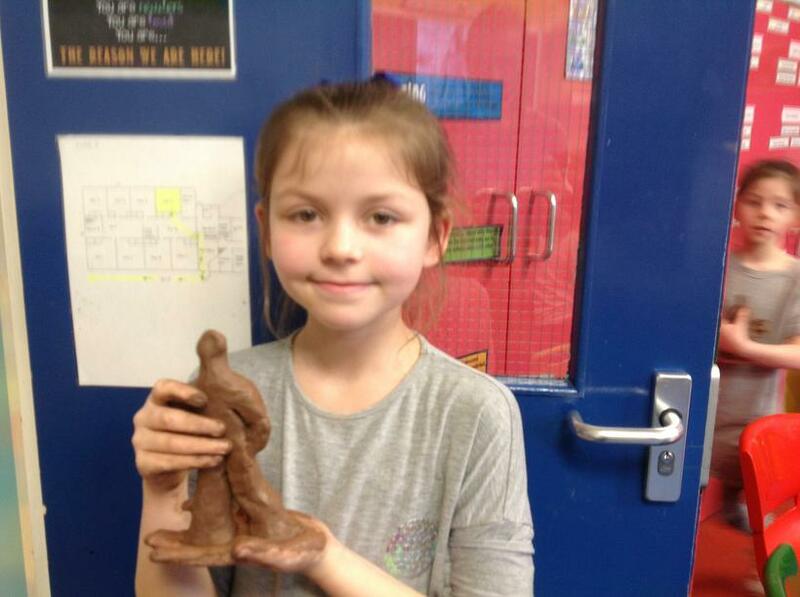 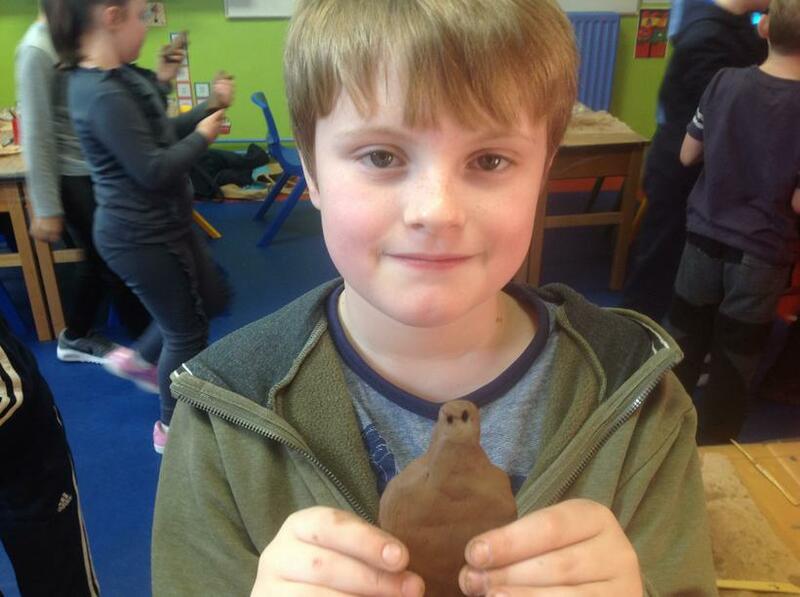 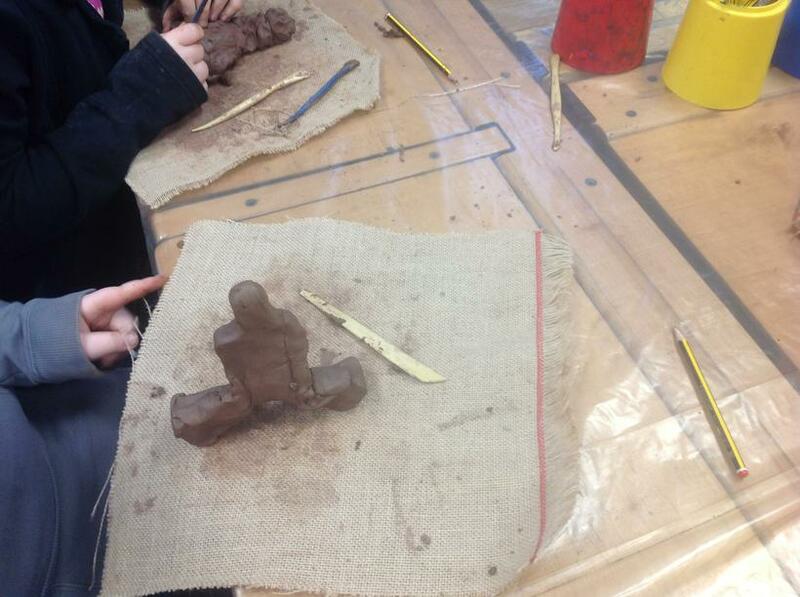 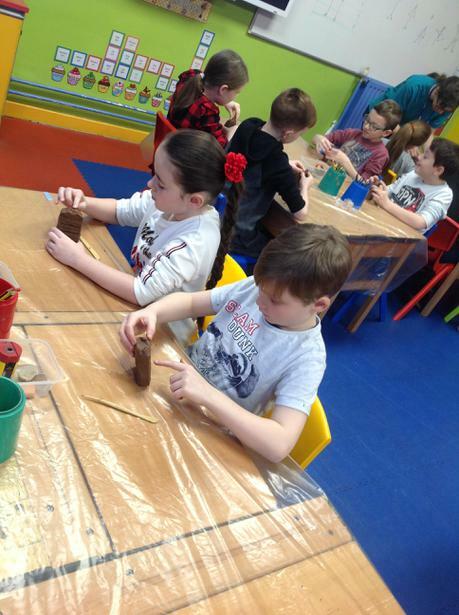 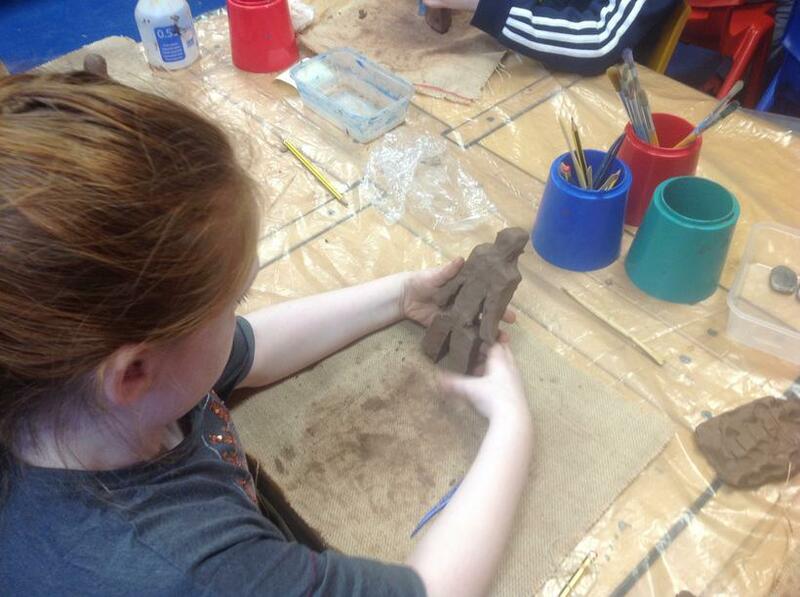 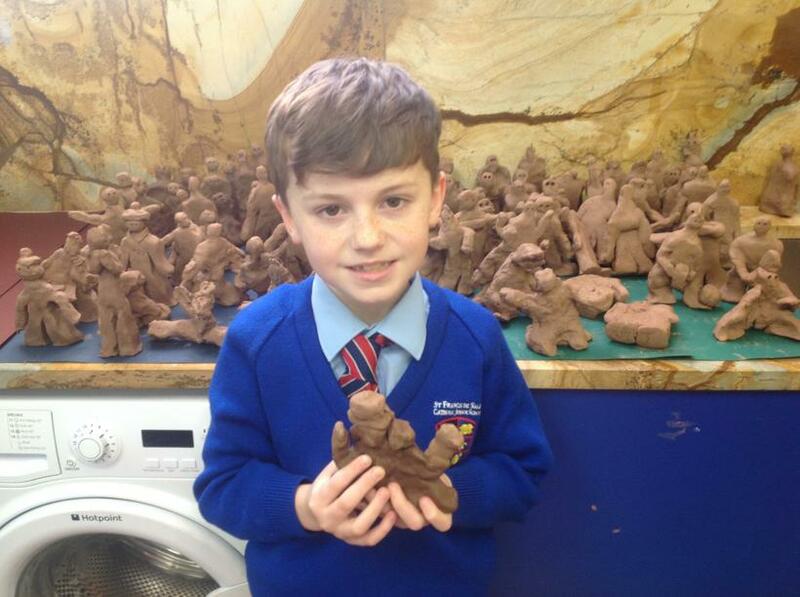 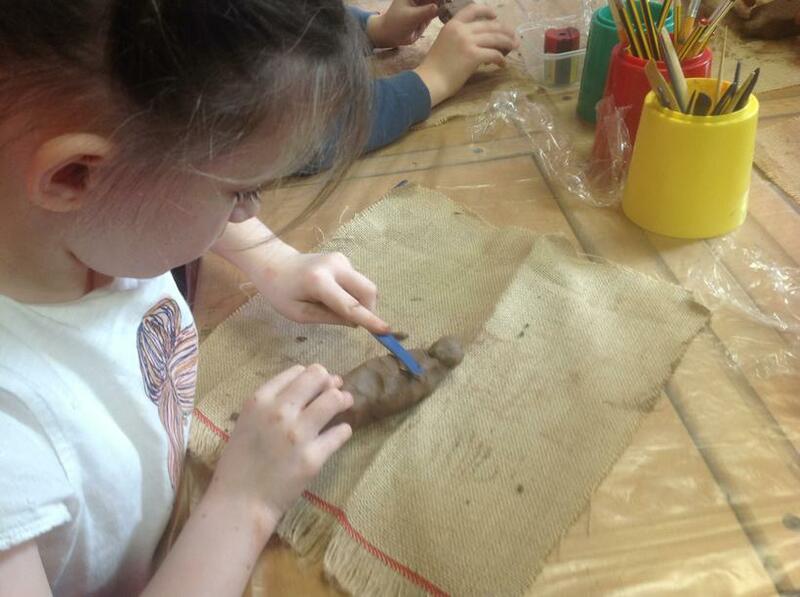 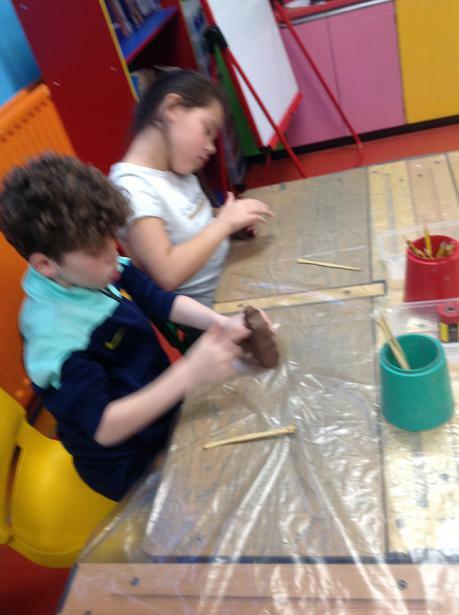 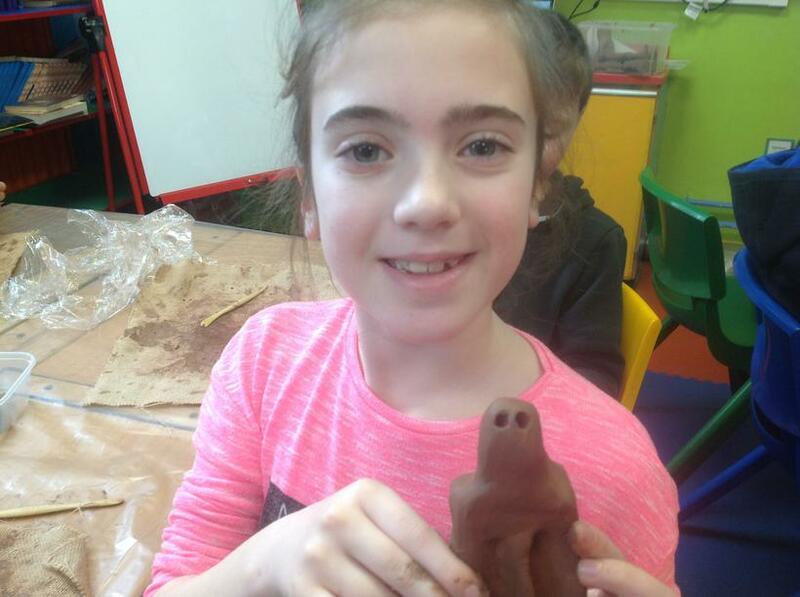 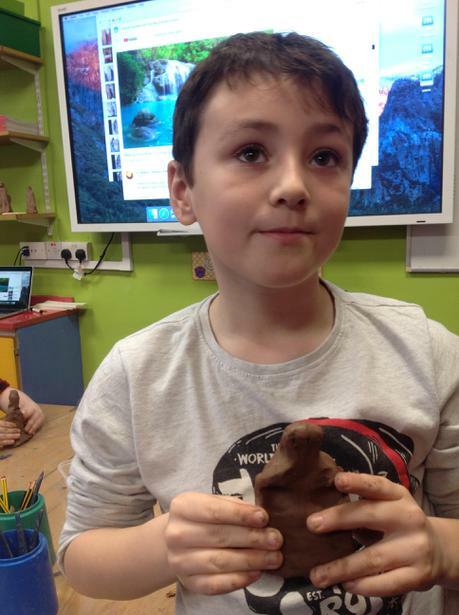 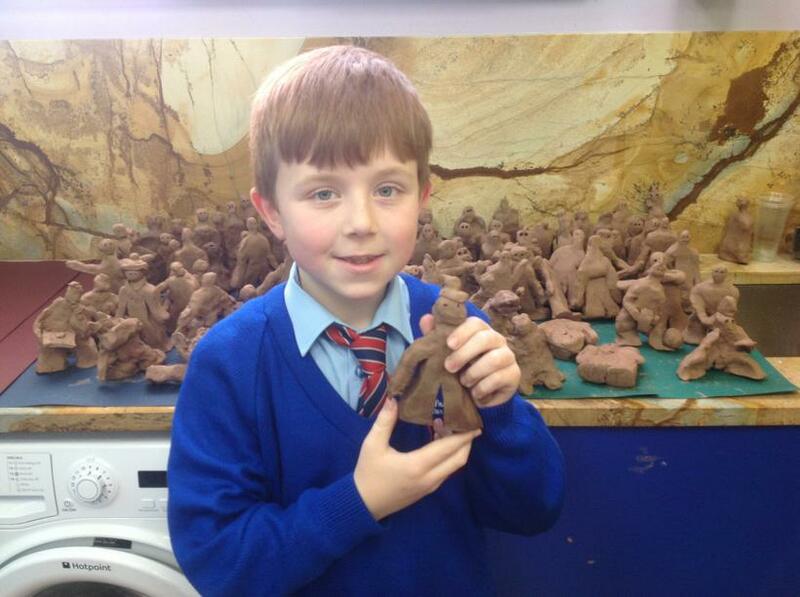 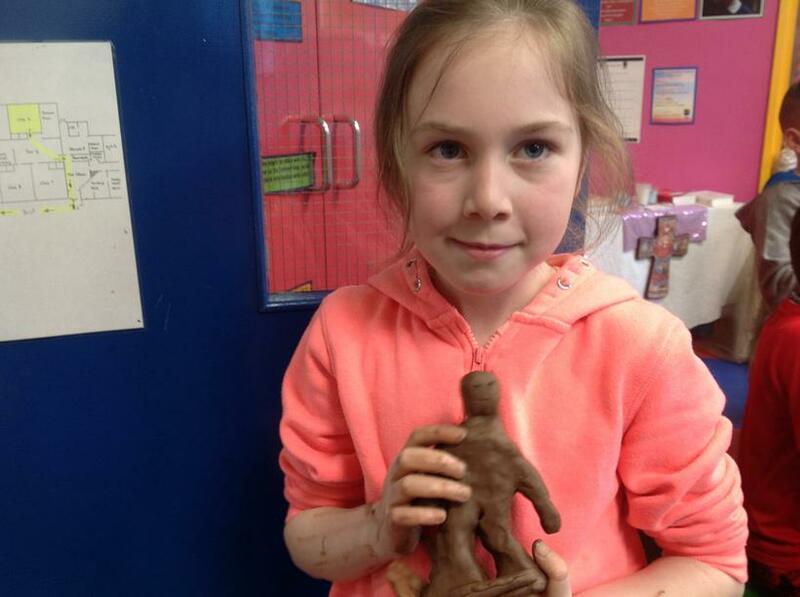 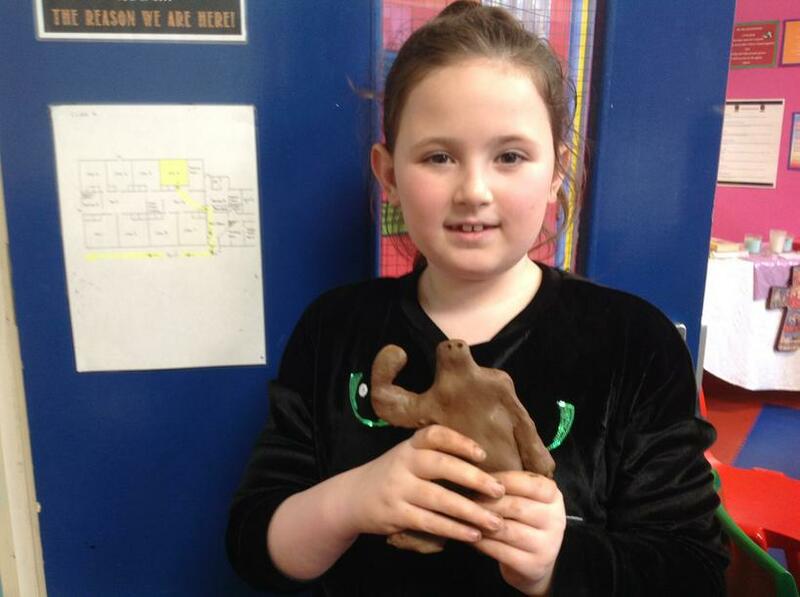 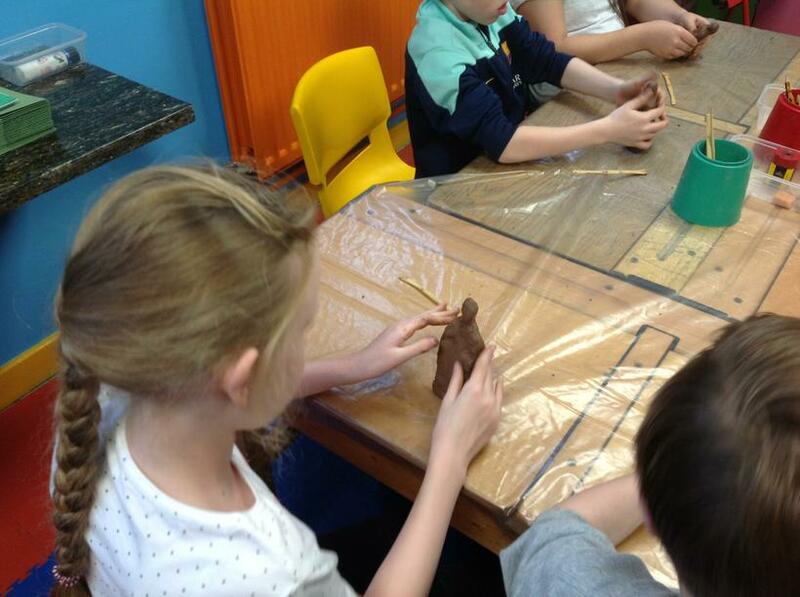 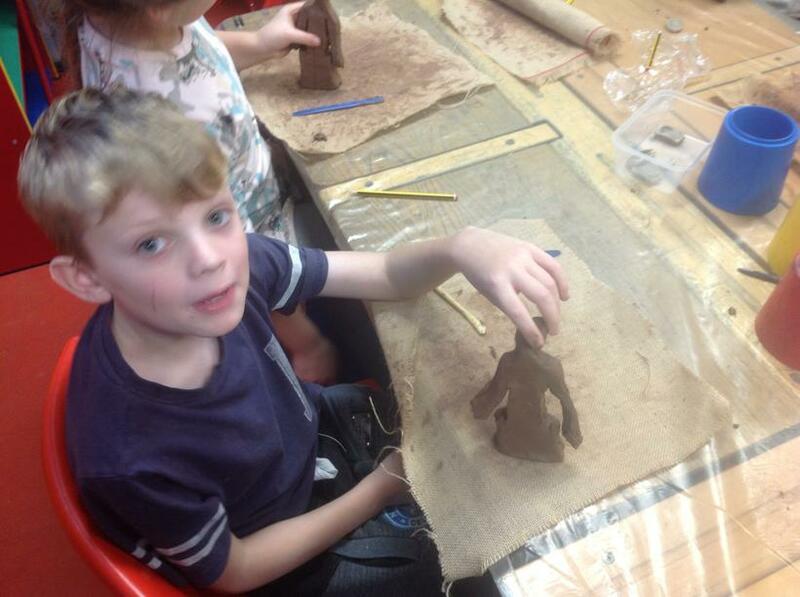 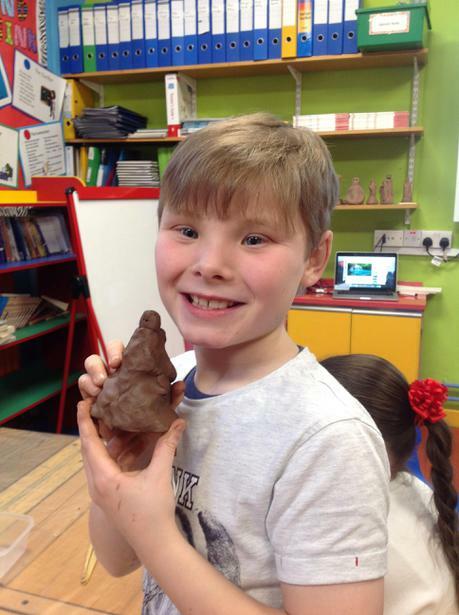 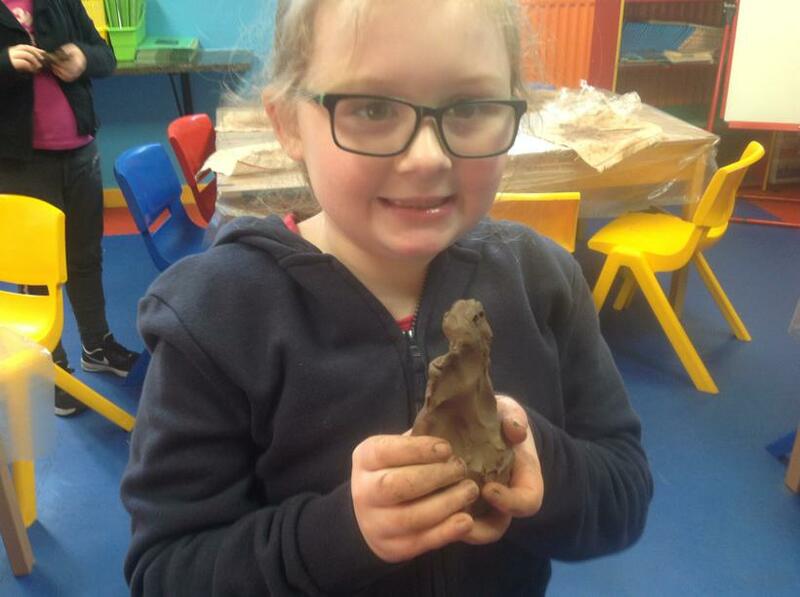 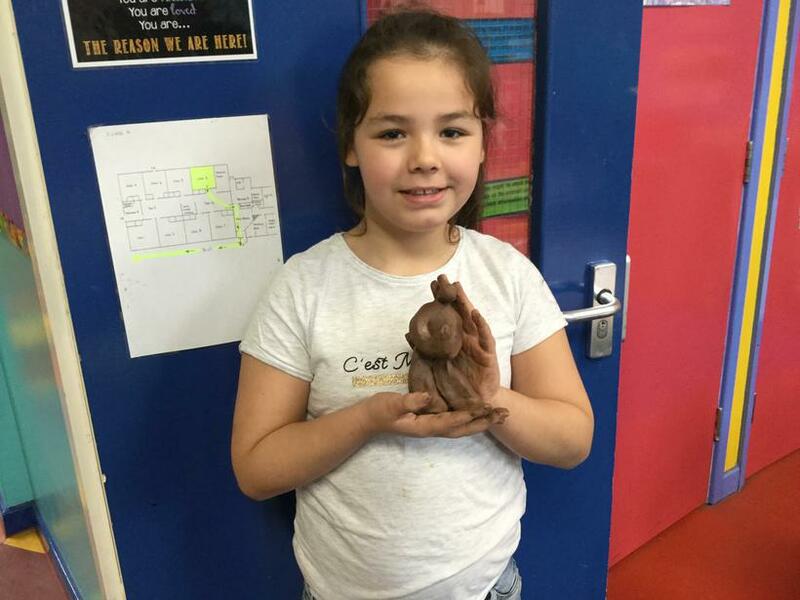 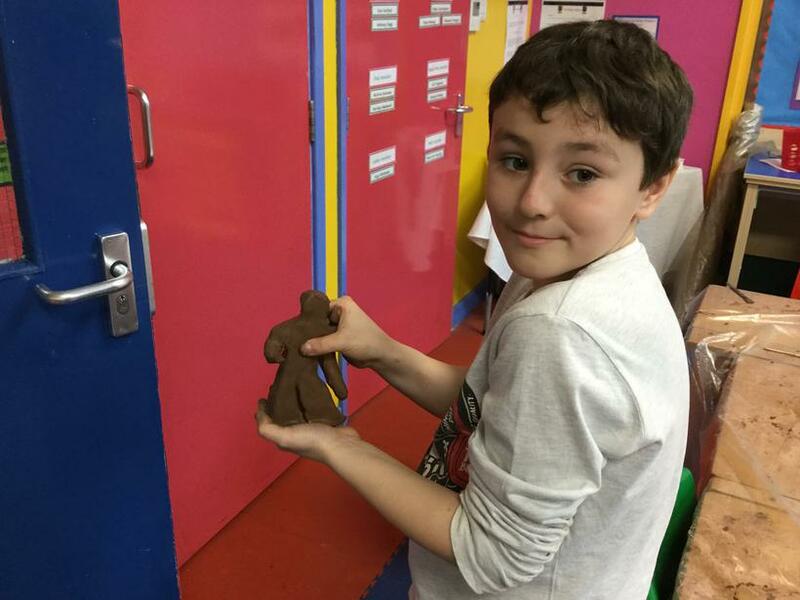 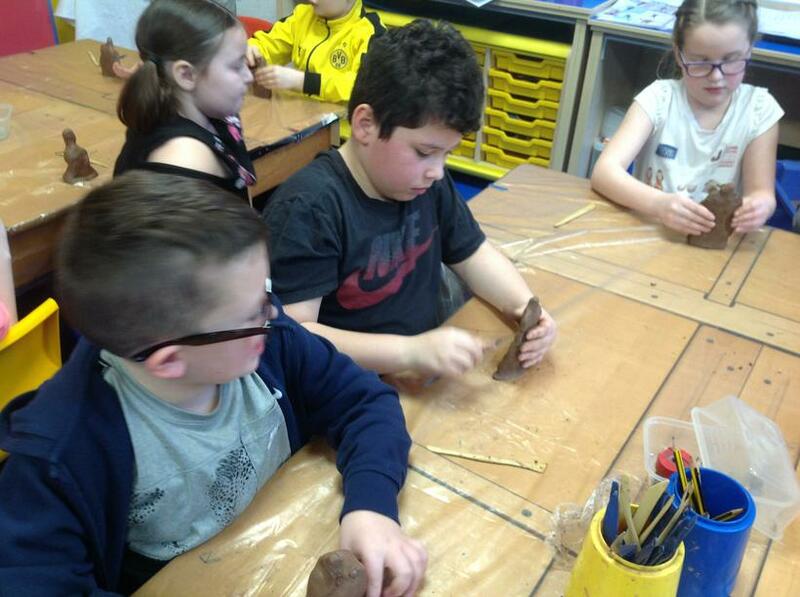 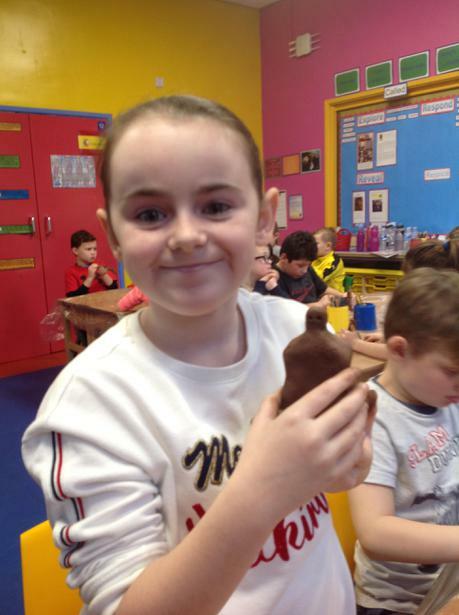 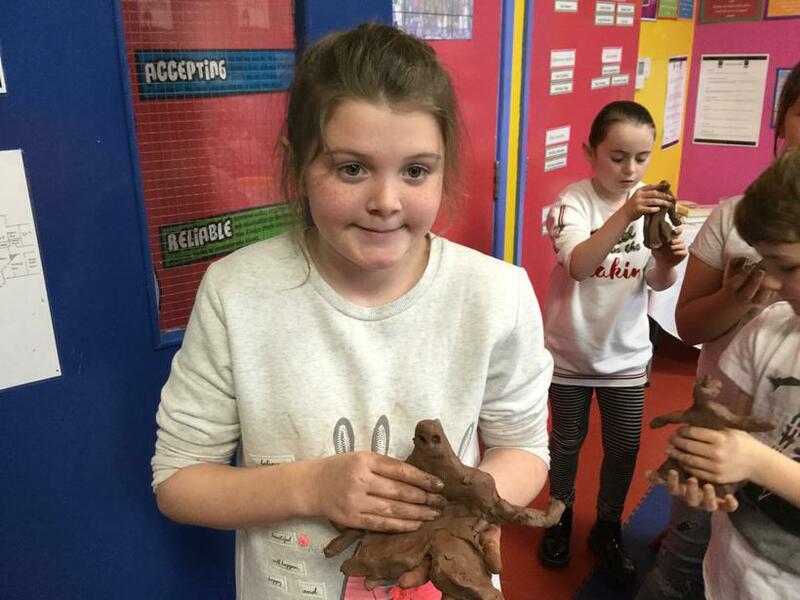 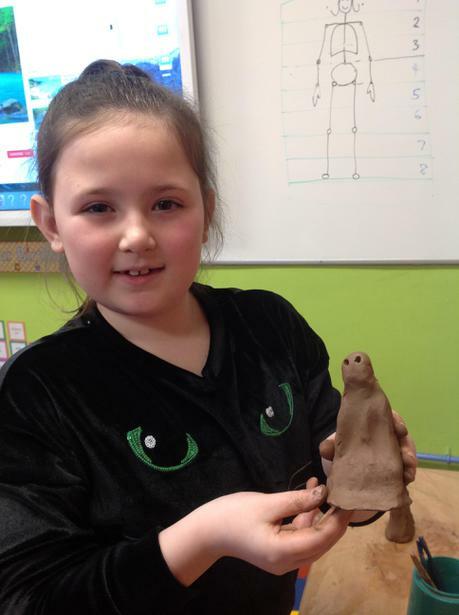 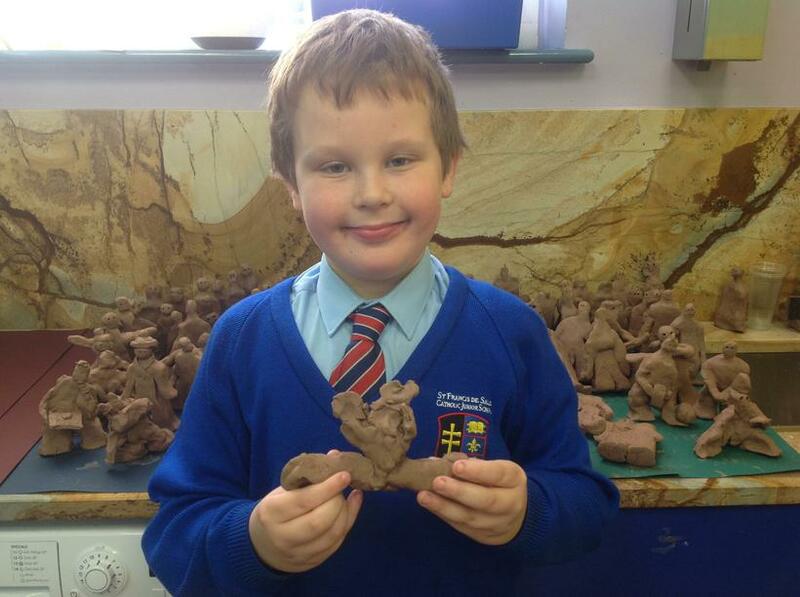 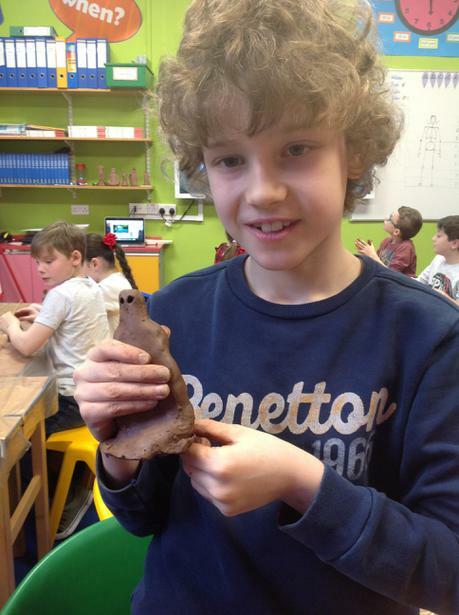 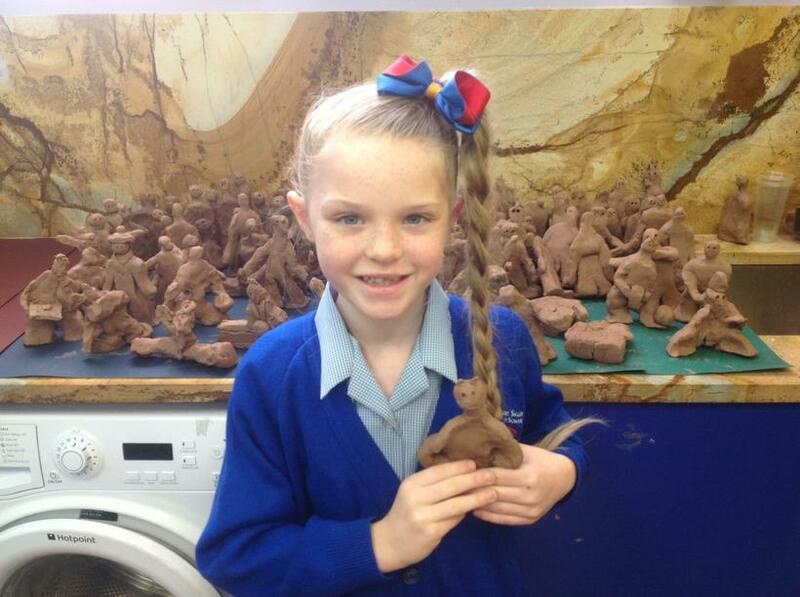 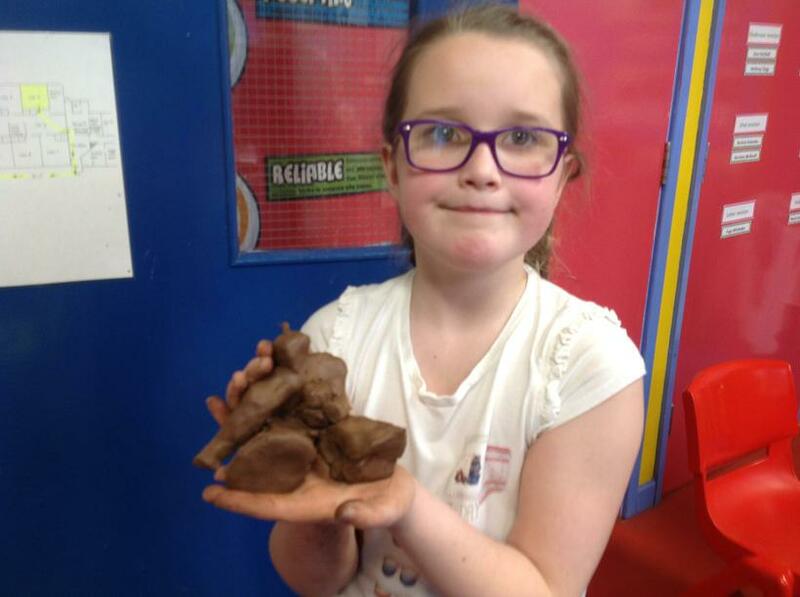 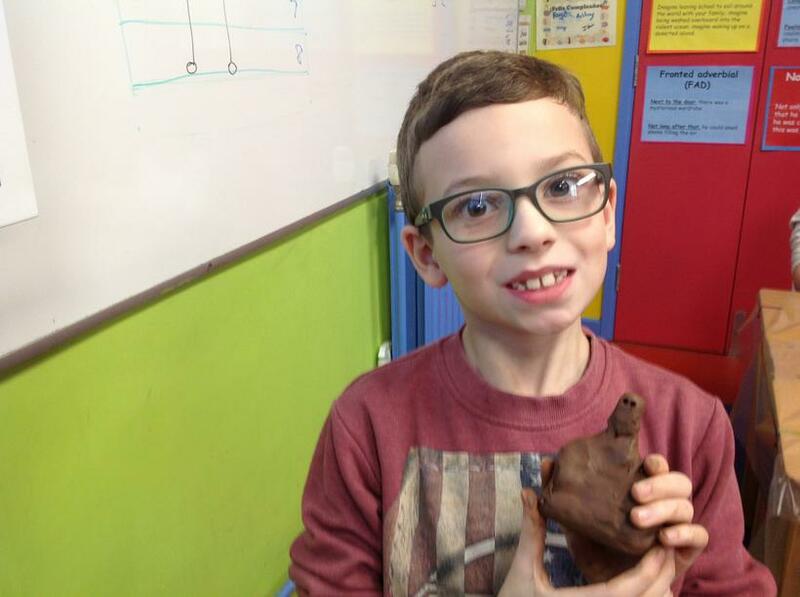 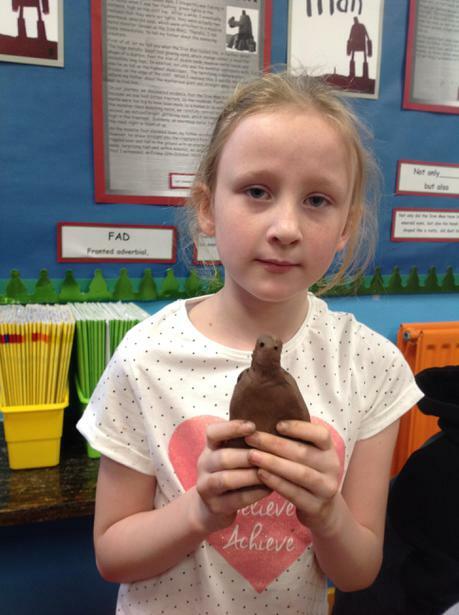 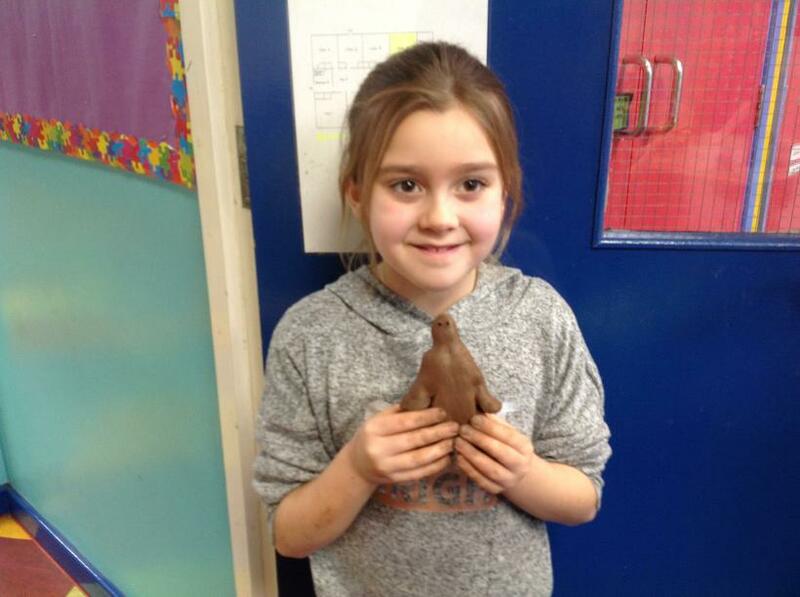 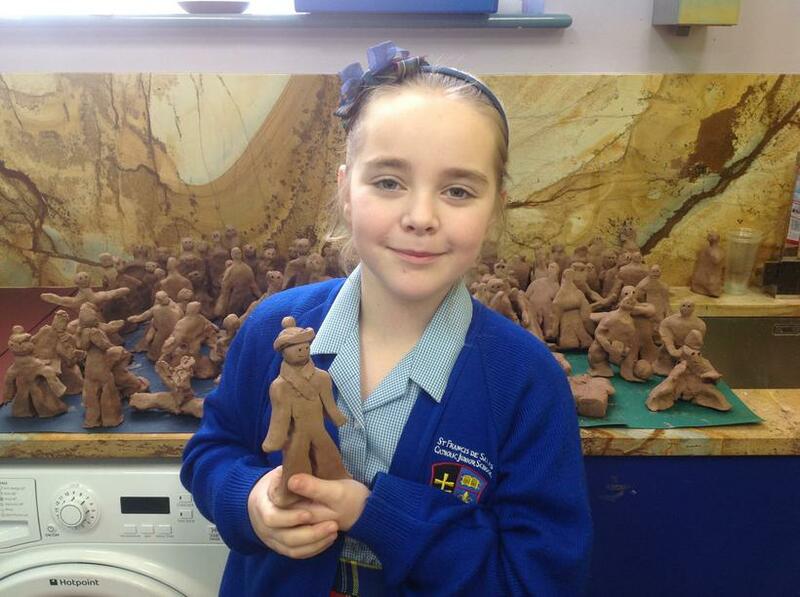 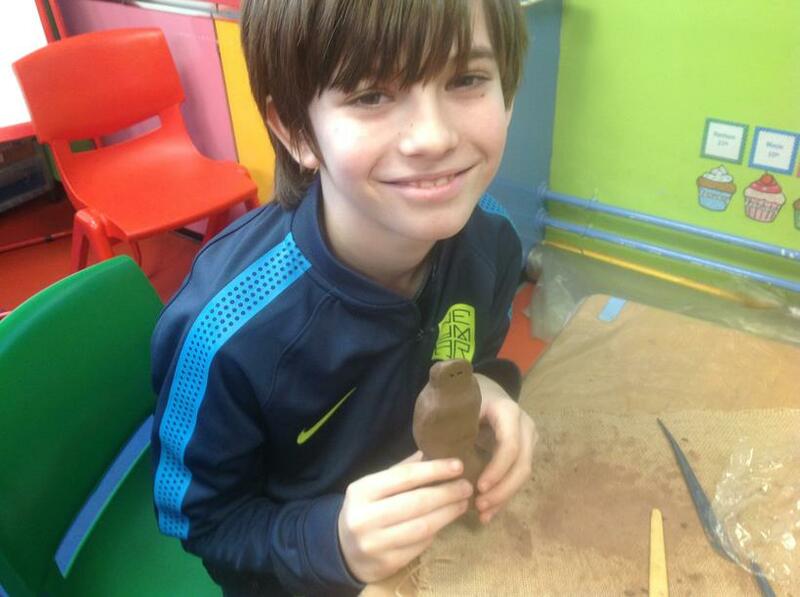 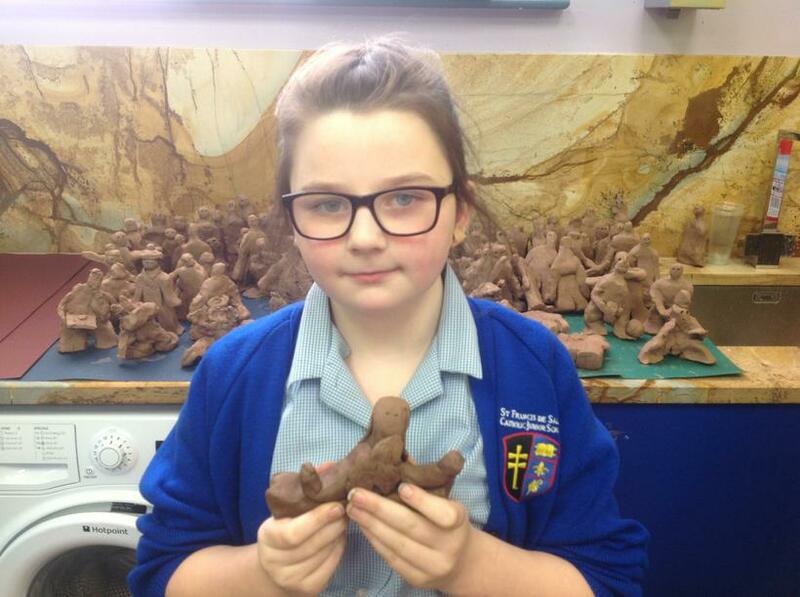 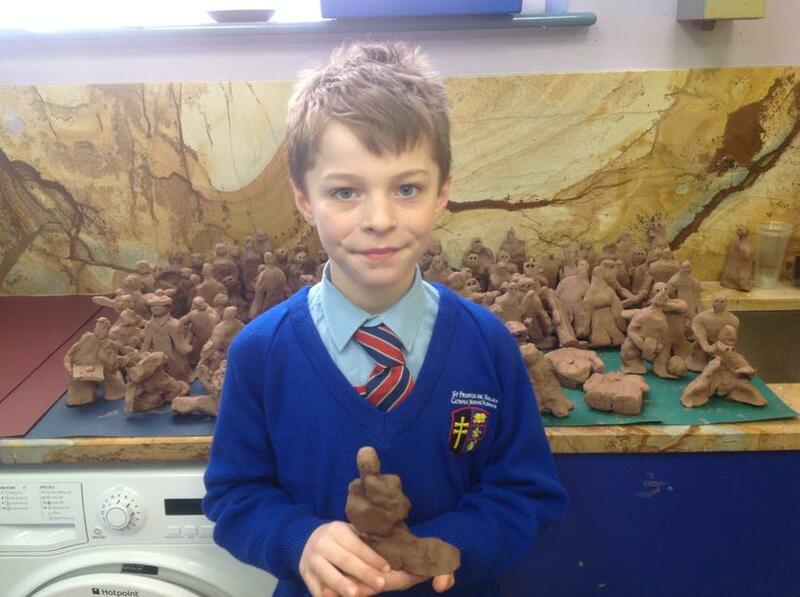 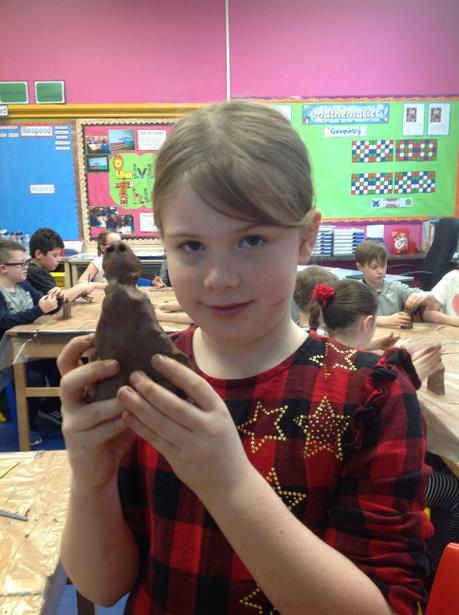 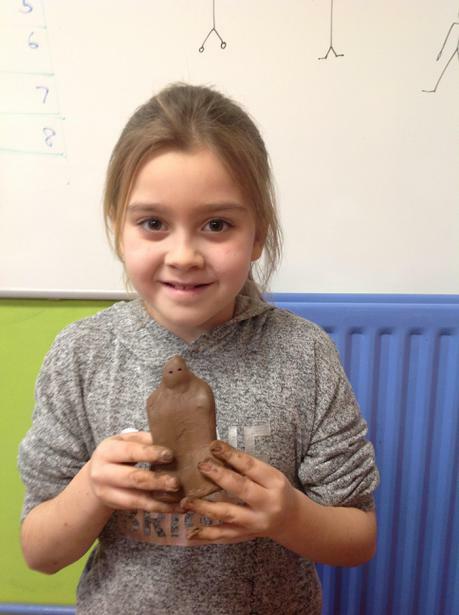 The children used clay to create small figures based on Antony Gormley’s project called ‘Field’. 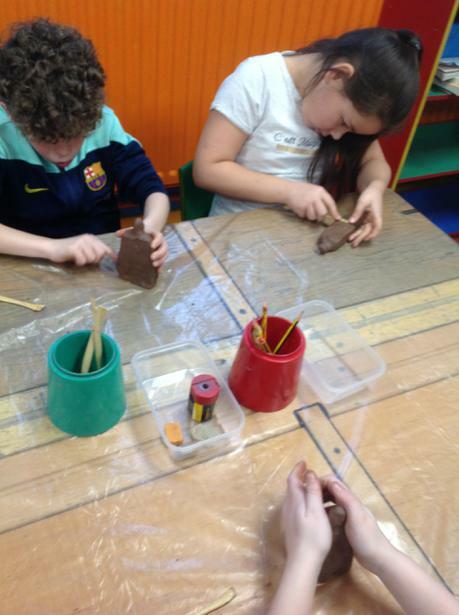 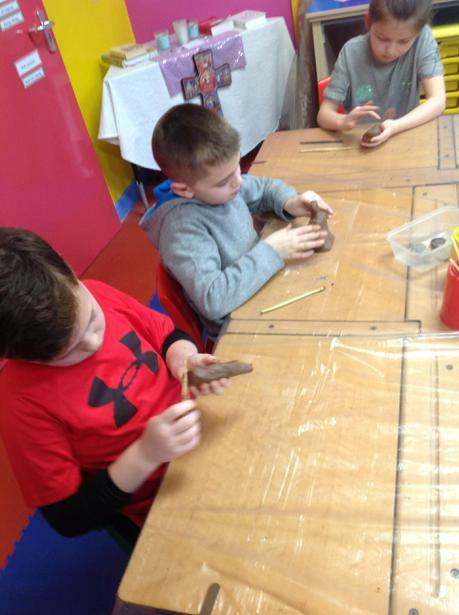 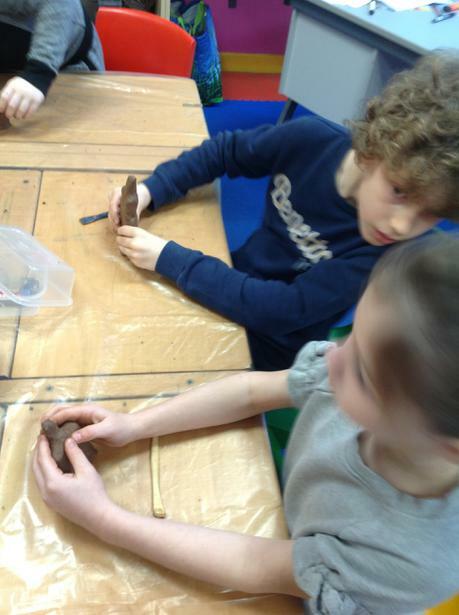 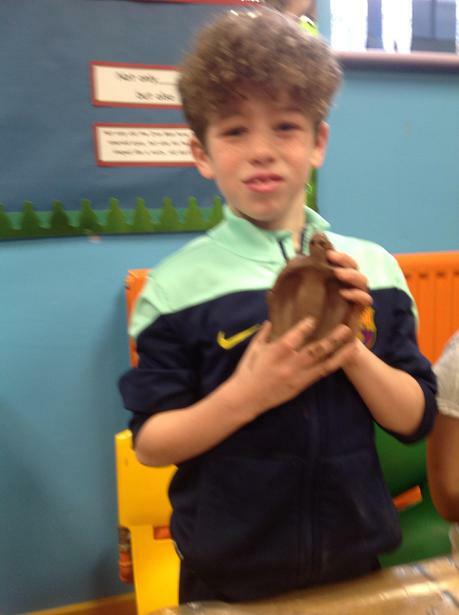 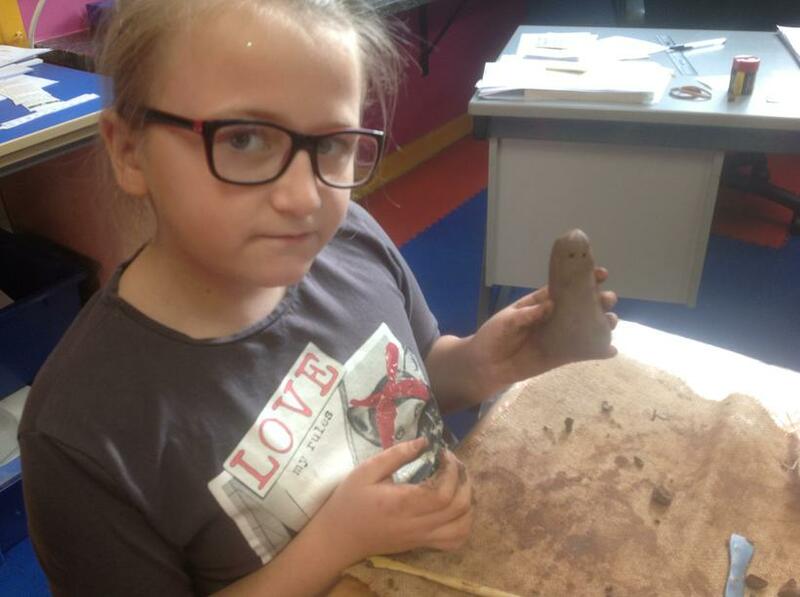 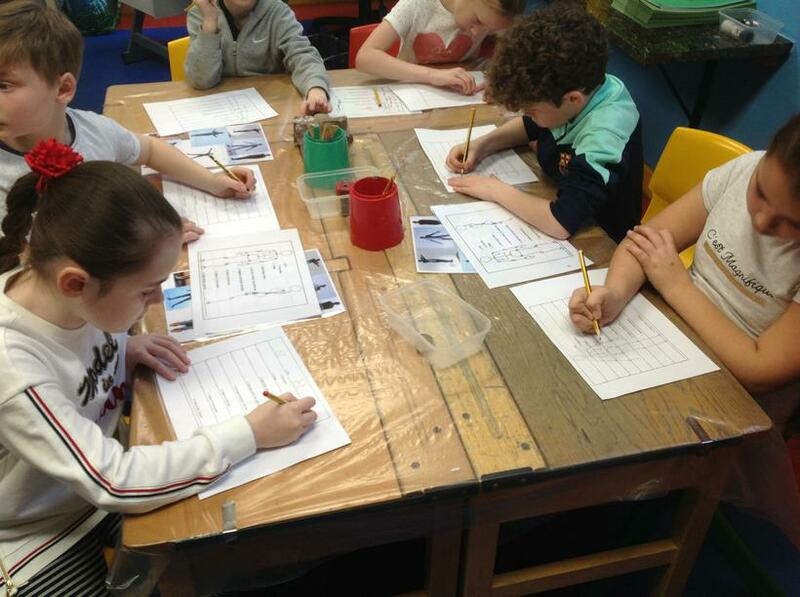 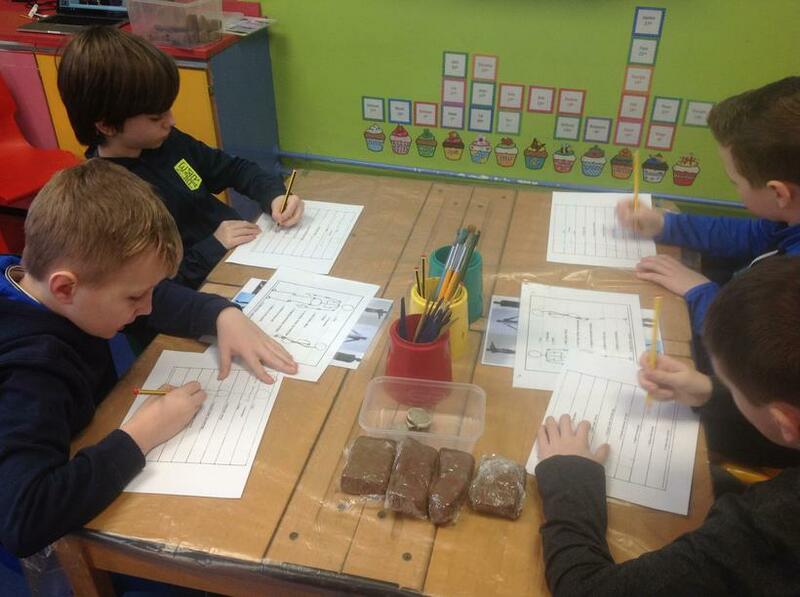 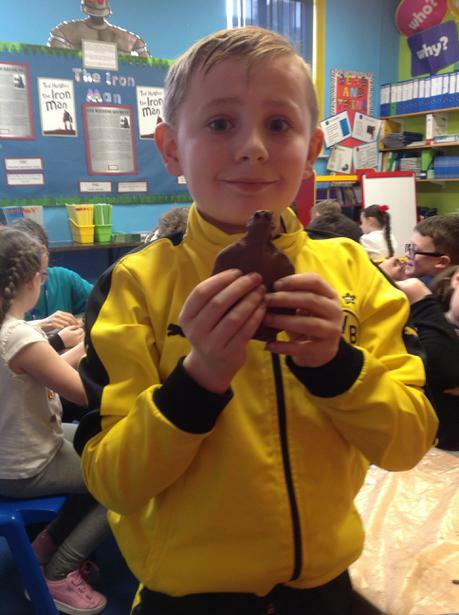 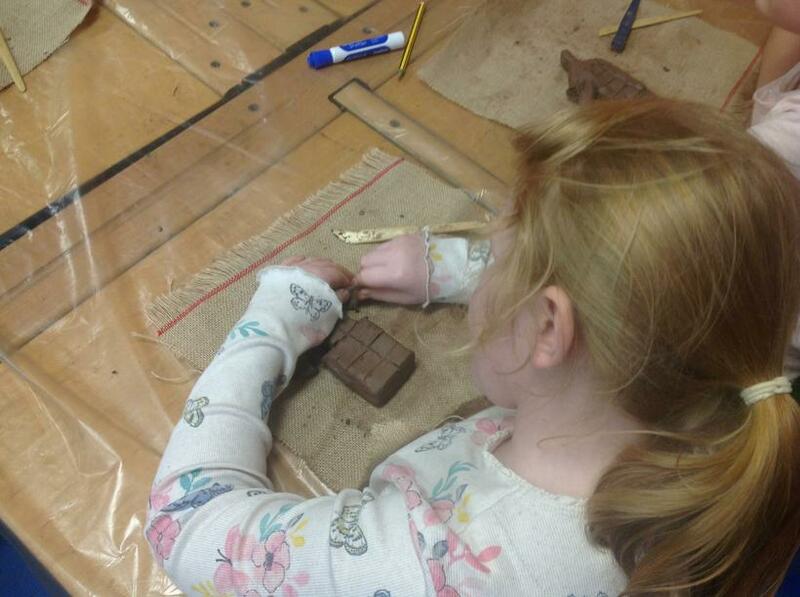 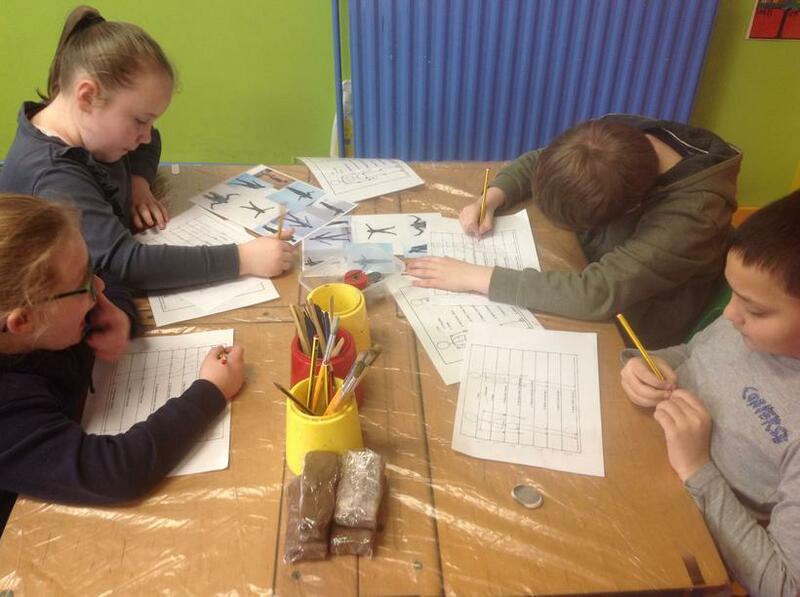 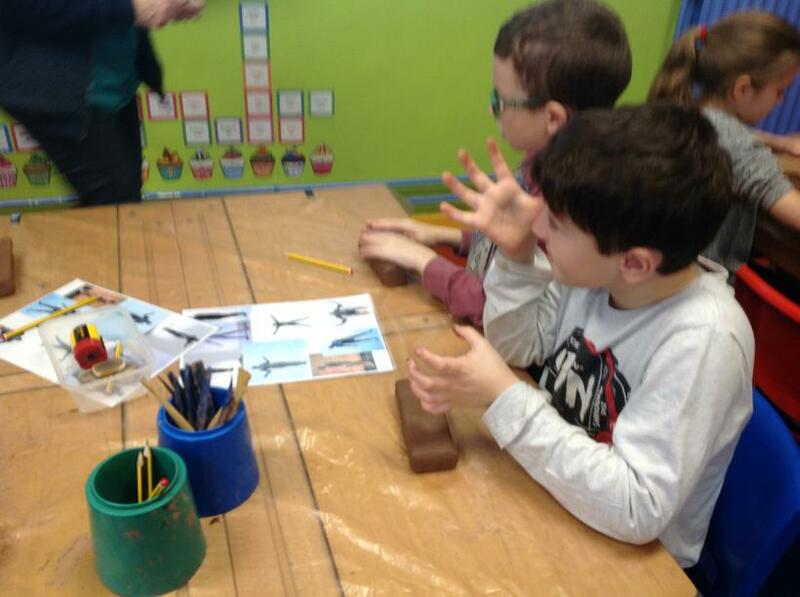 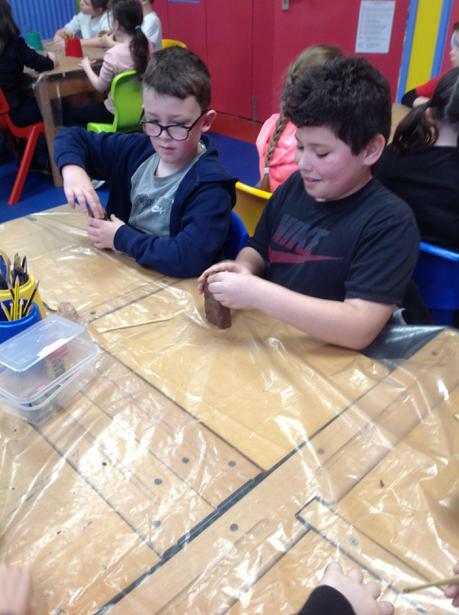 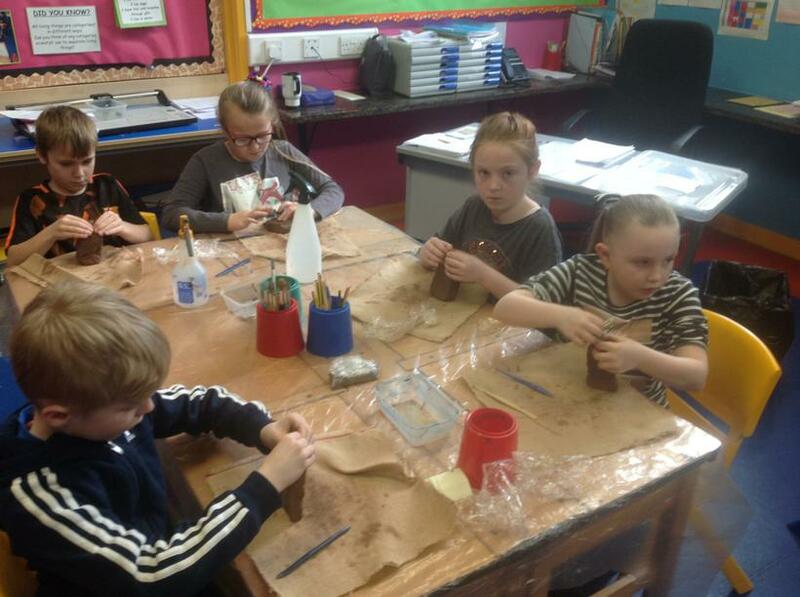 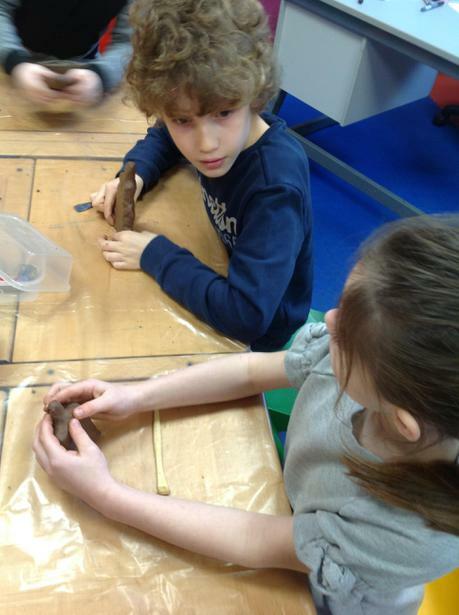 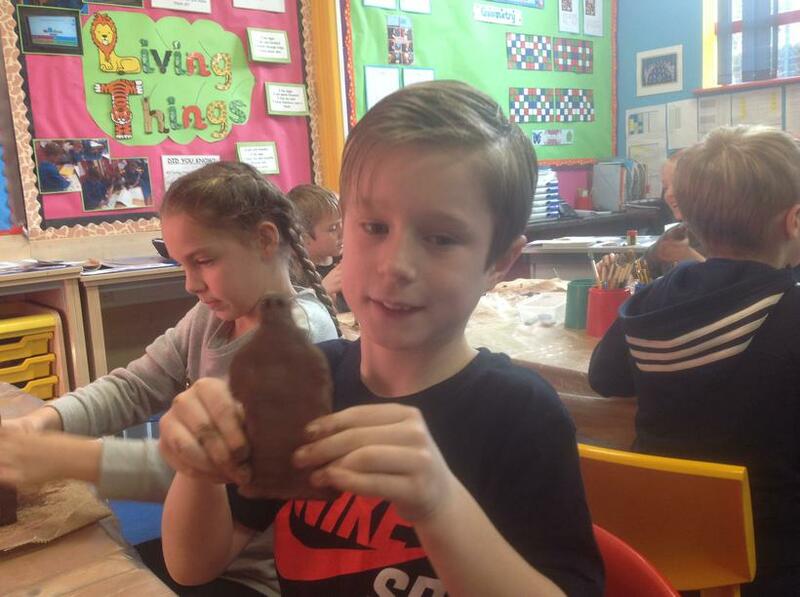 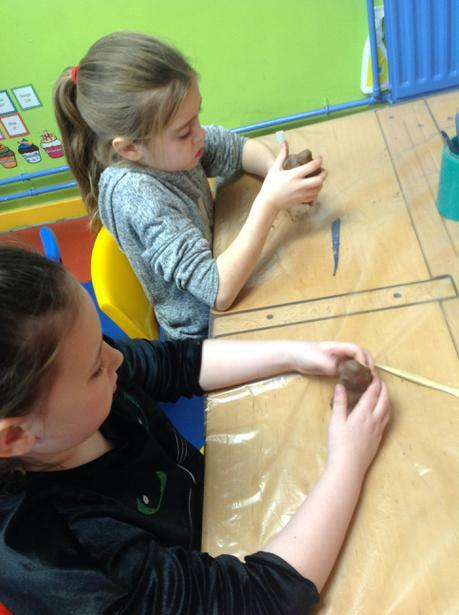 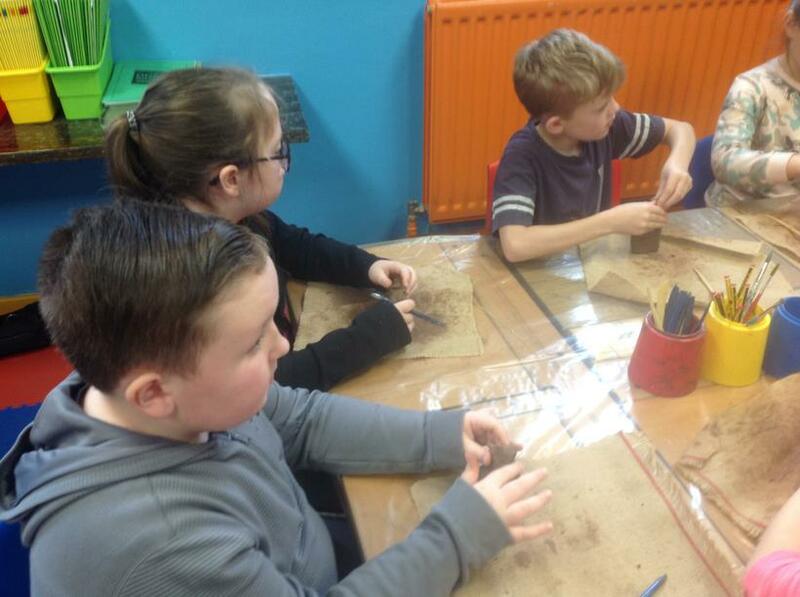 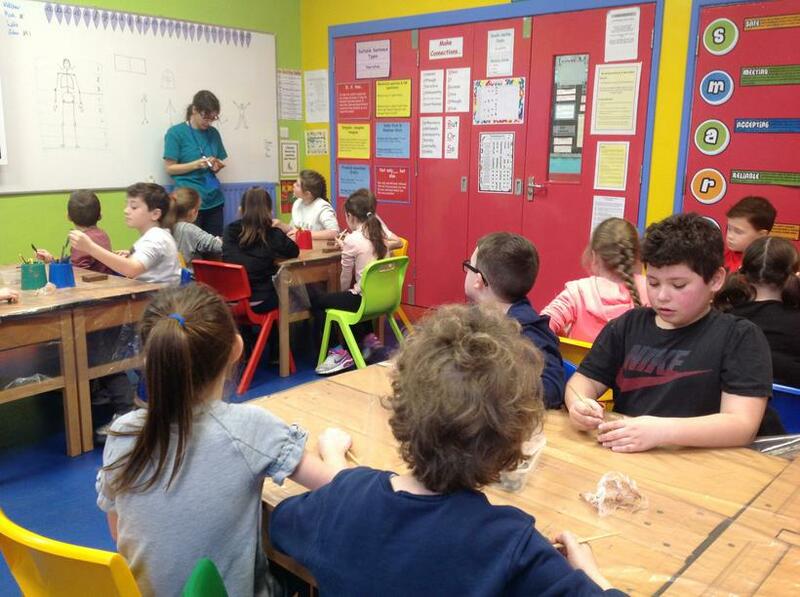 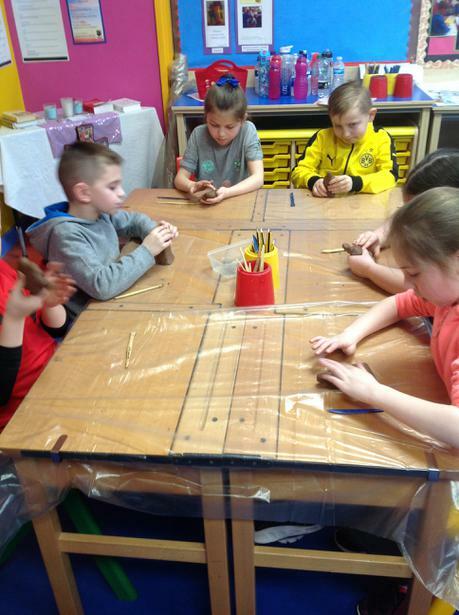 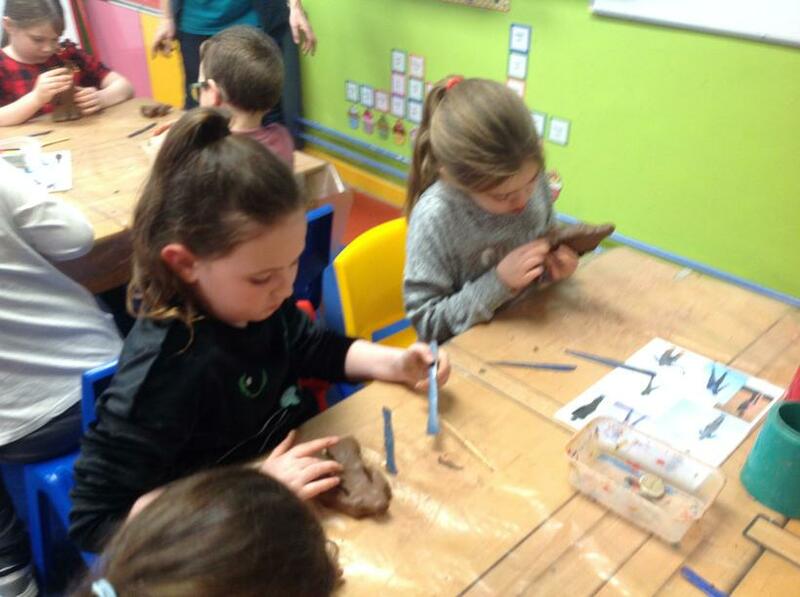 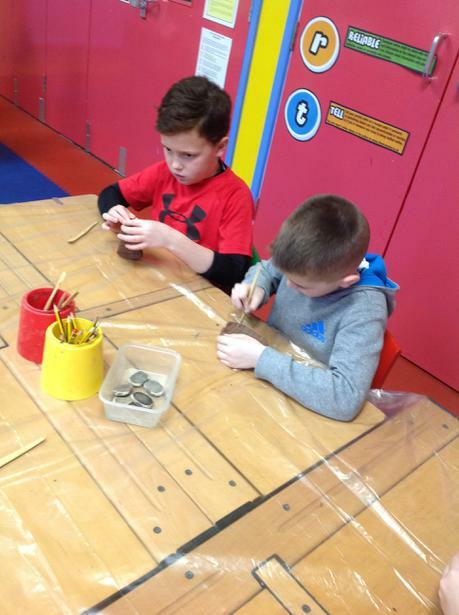 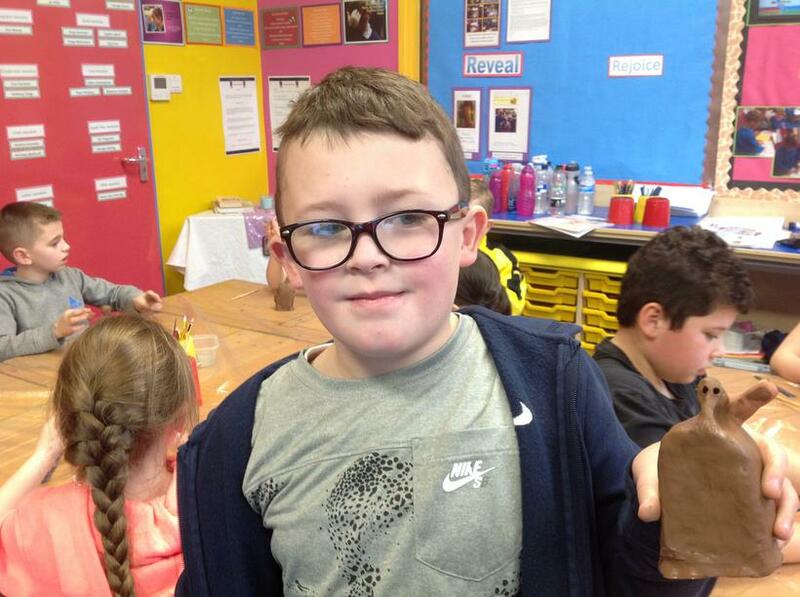 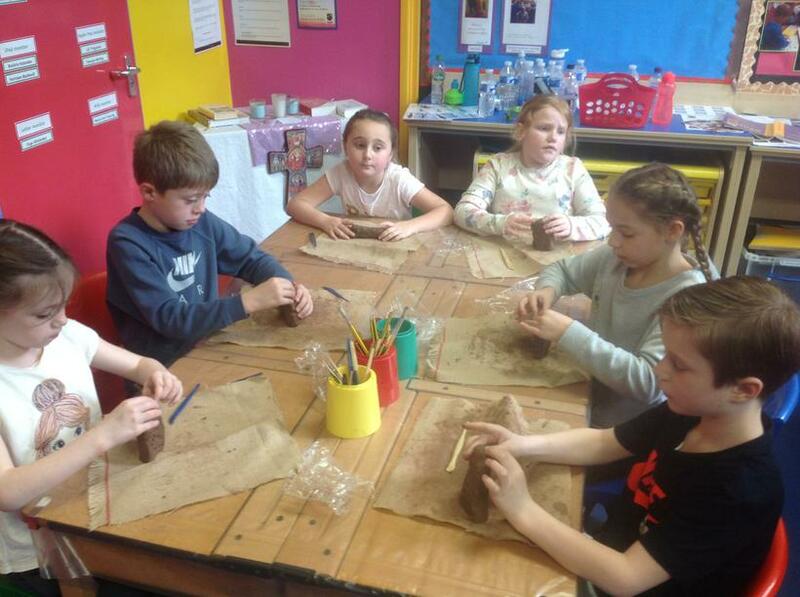 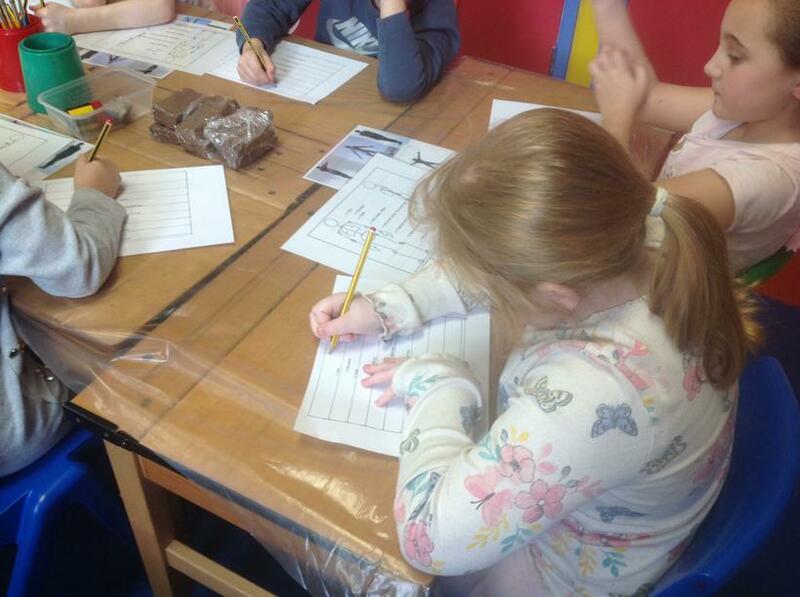 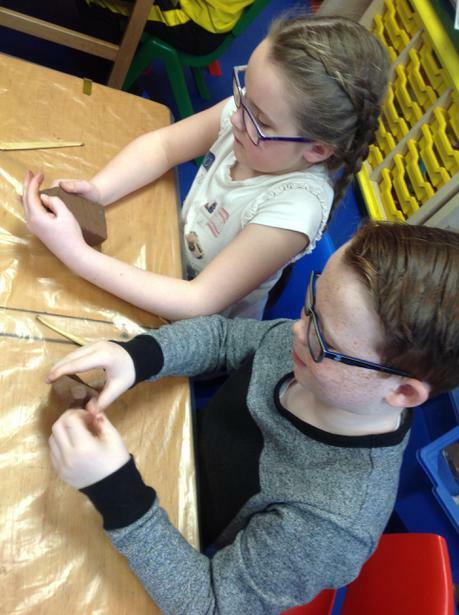 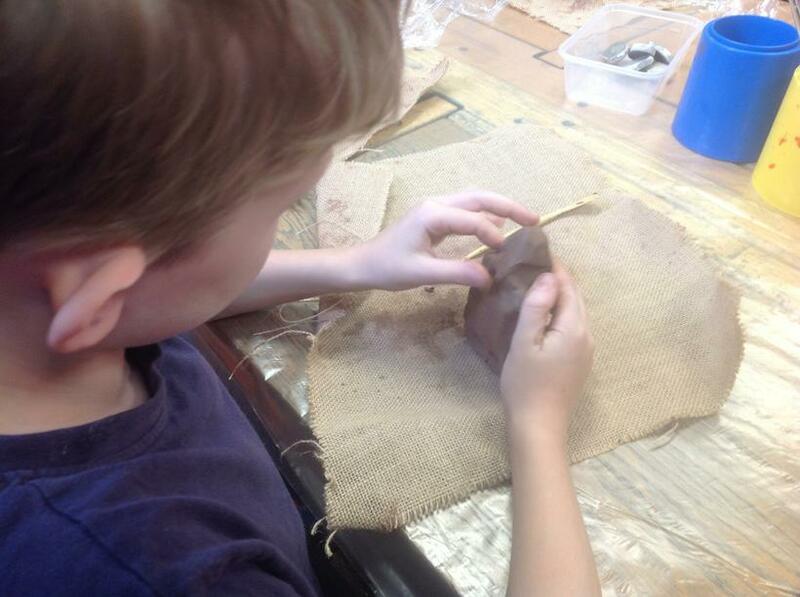 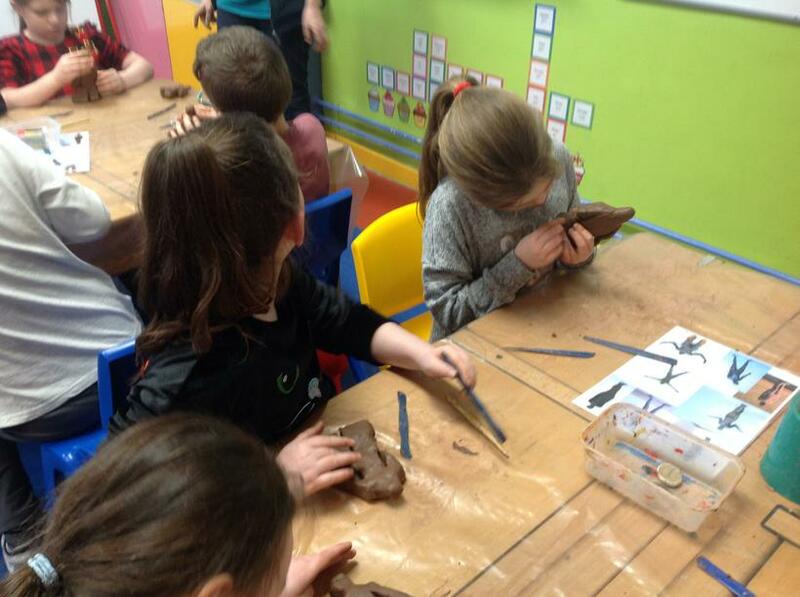 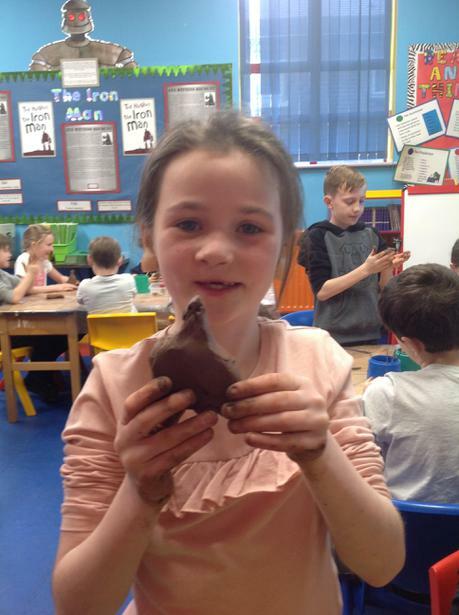 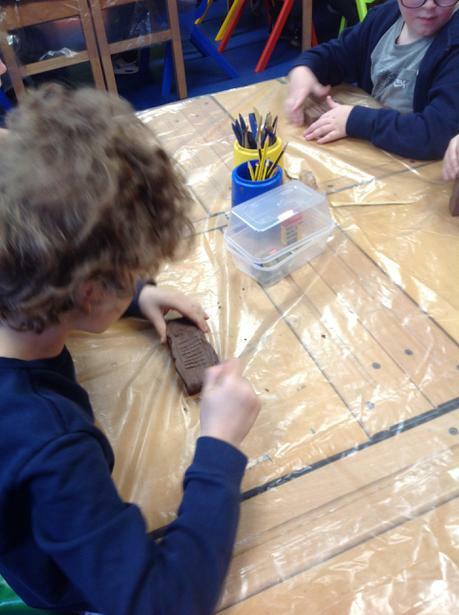 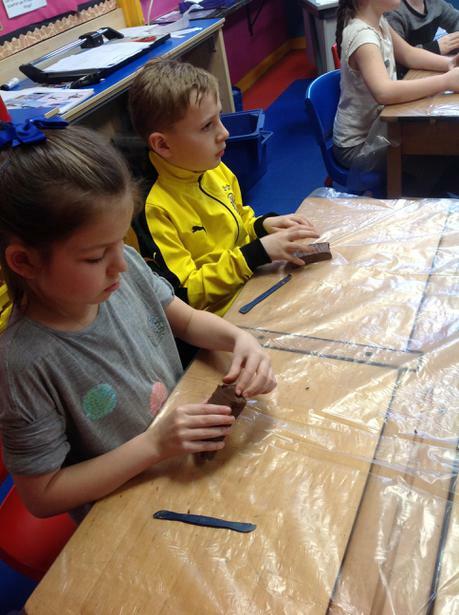 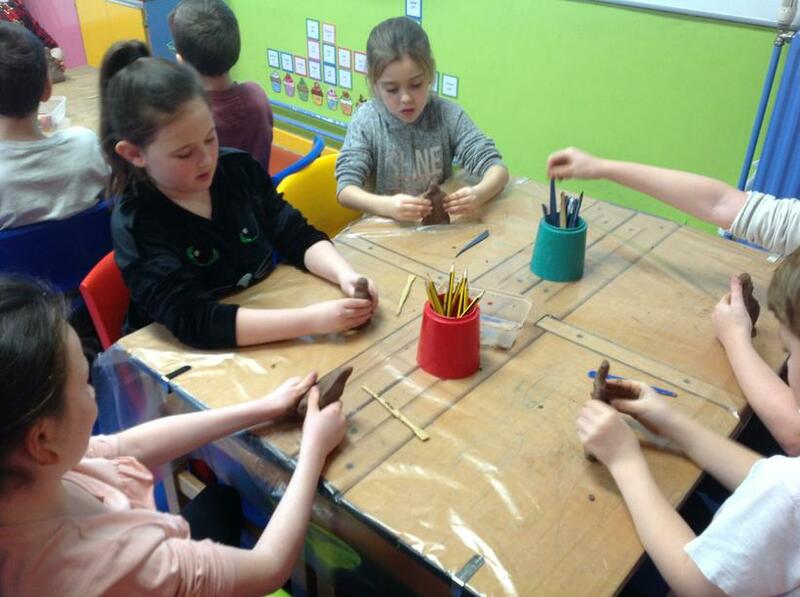 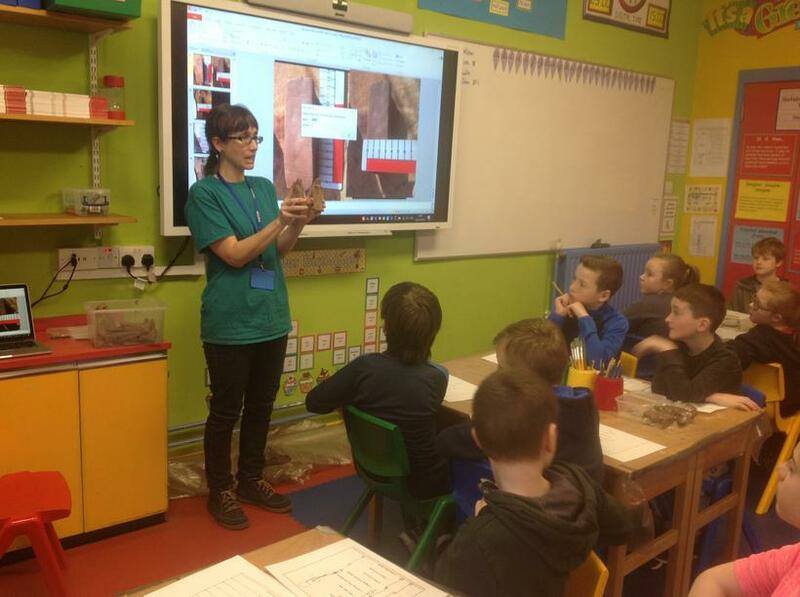 To begin with, the children became familiar with the use of clay and found out more about 'Field'. 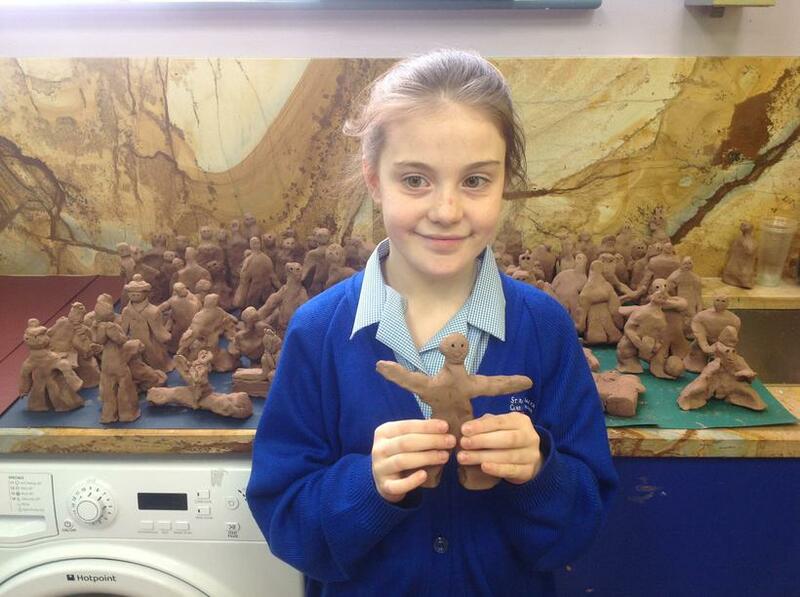 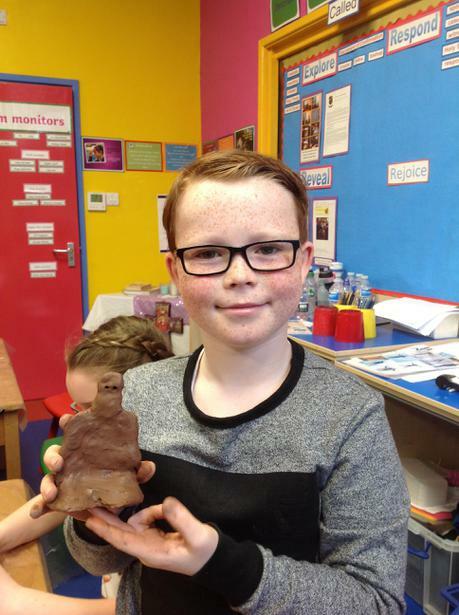 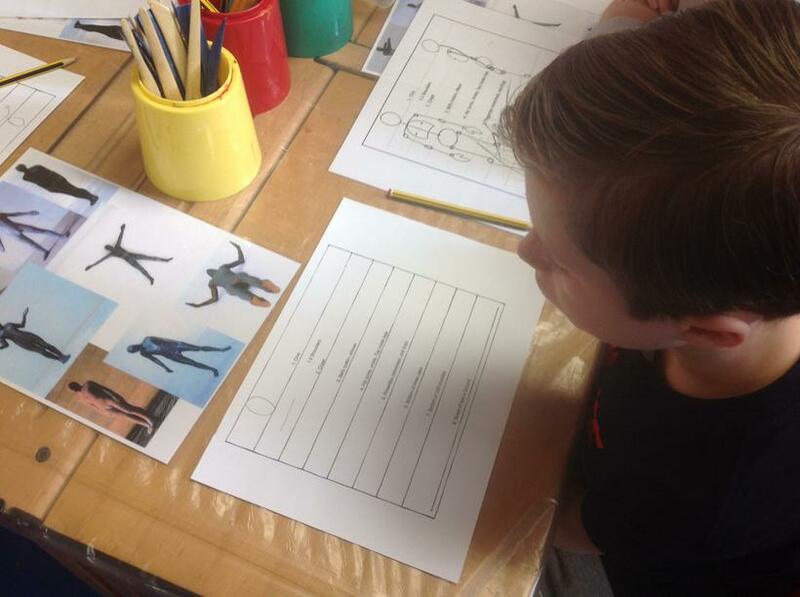 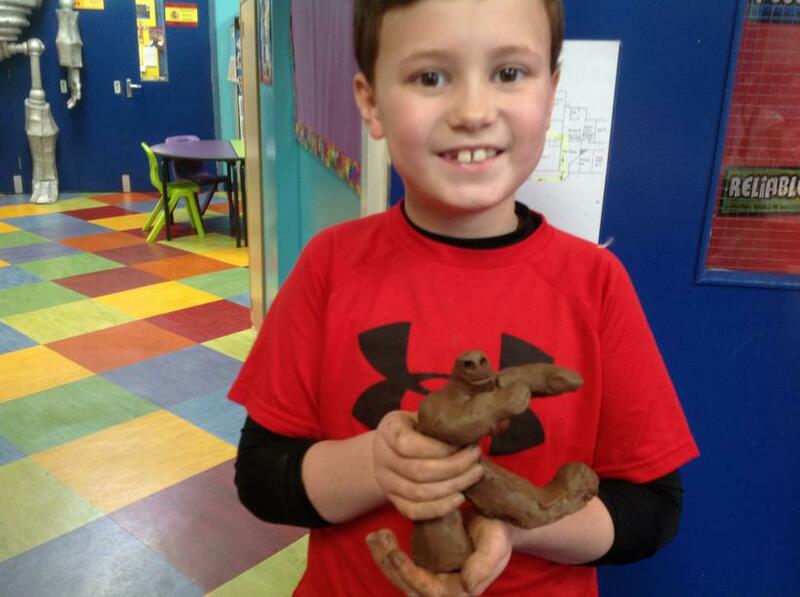 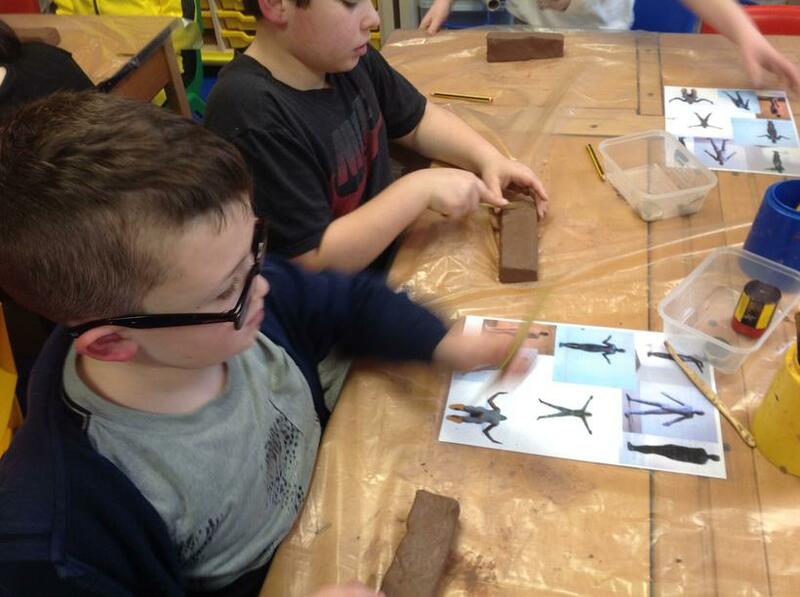 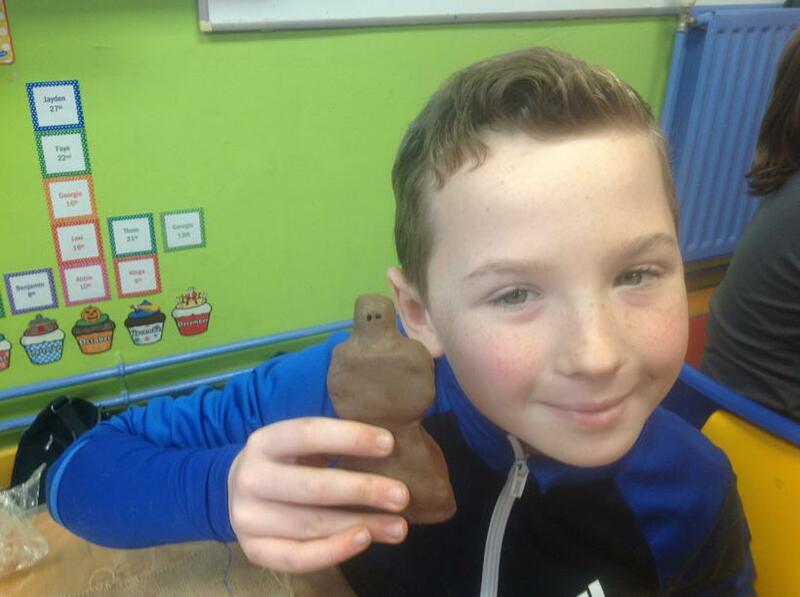 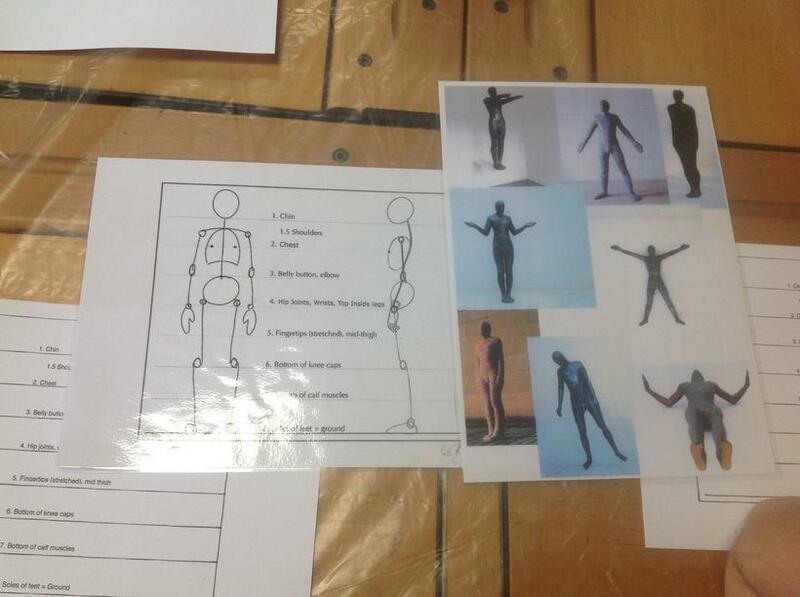 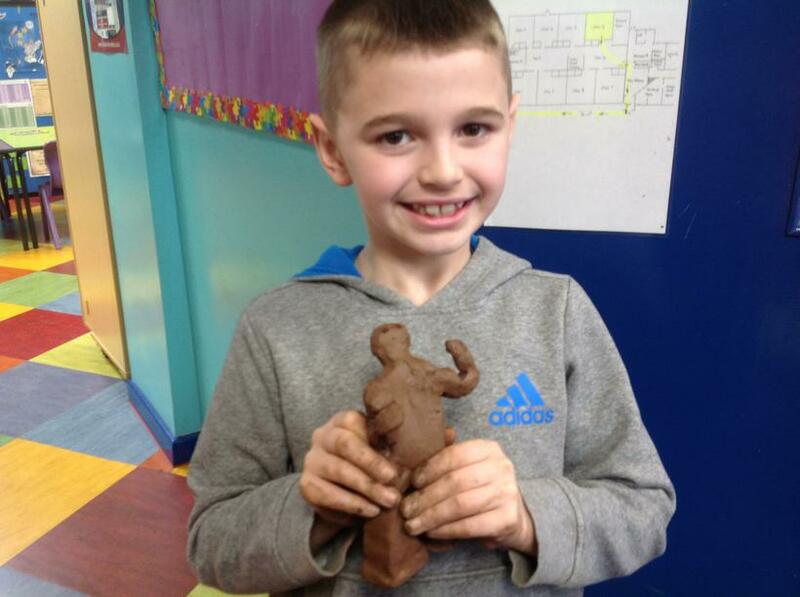 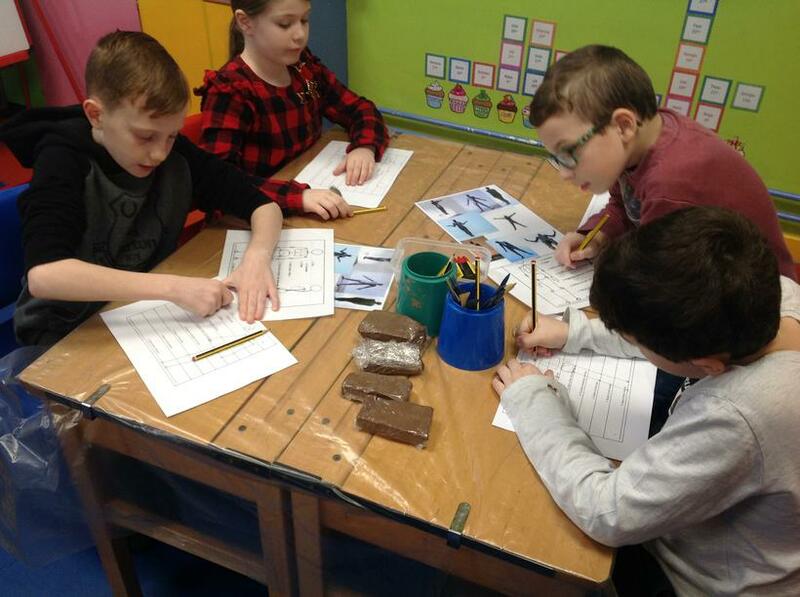 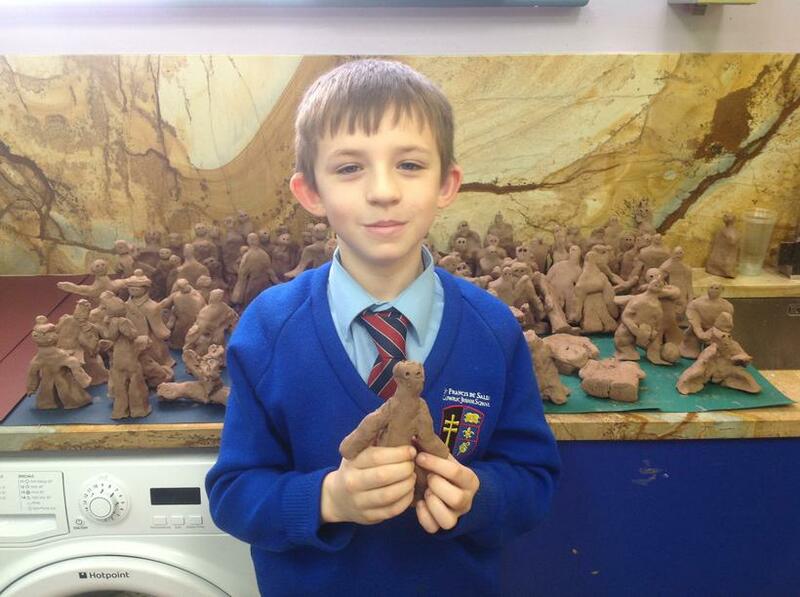 Once confident enough, they created their own versions of the Gormley figures. 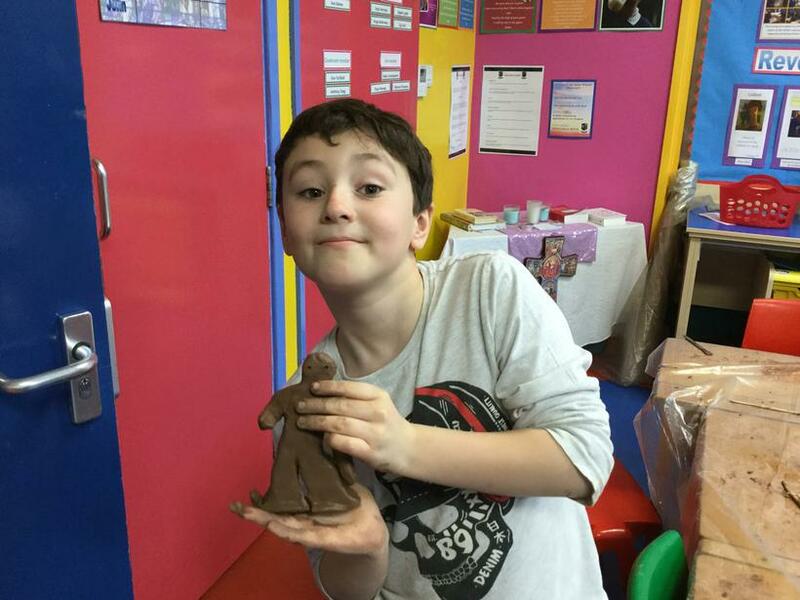 A fantastic and interesting range of figures emerged!